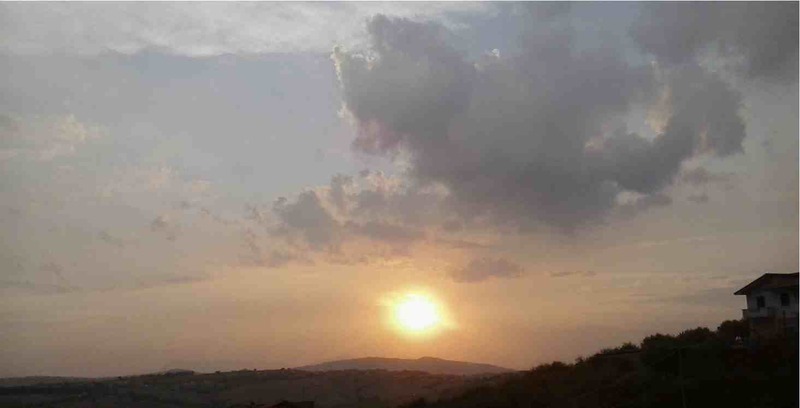 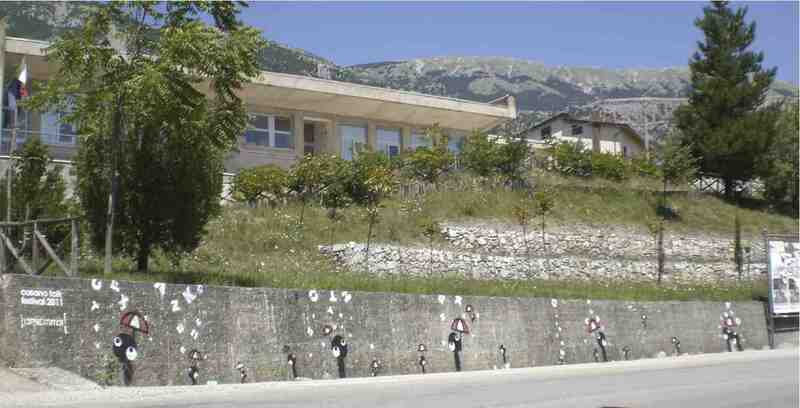 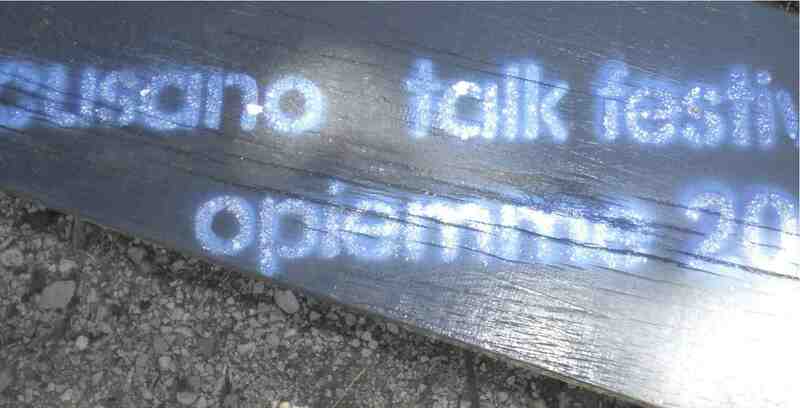 During summer 2013 Opiemme started “A journey through painting and poetry“. 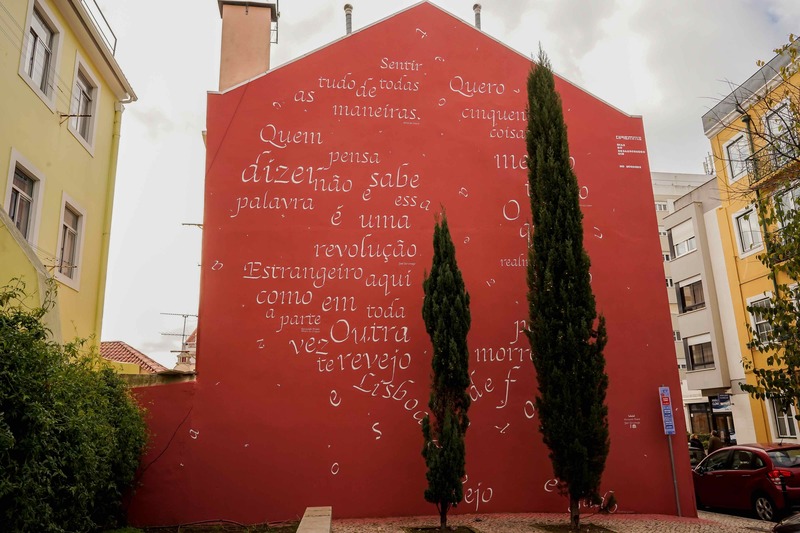 A project inspired by the first steps in his artistic quest: bringing poetry closer to people. 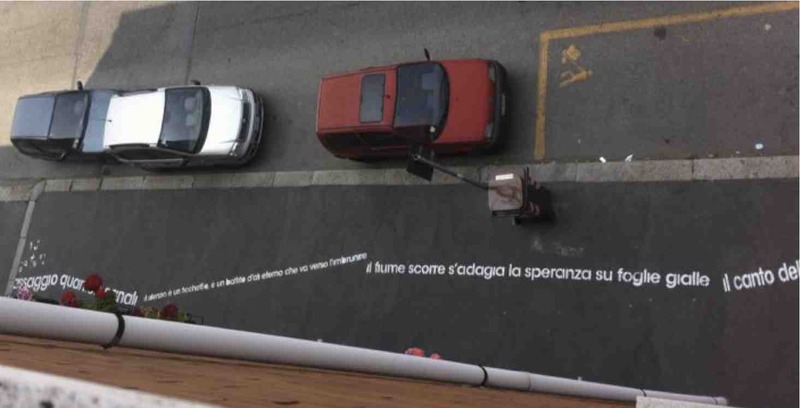 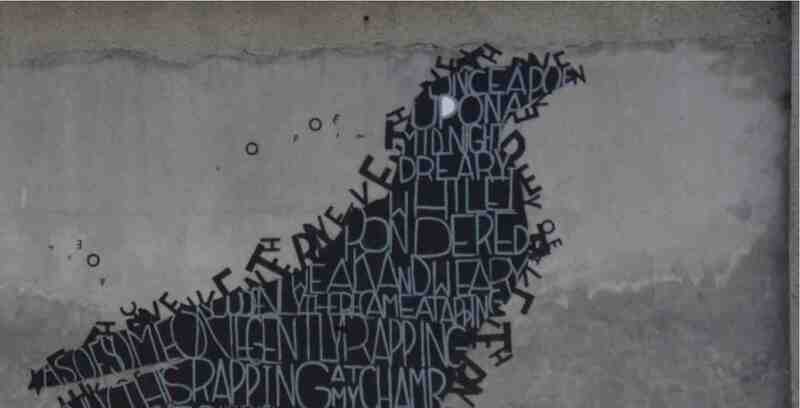 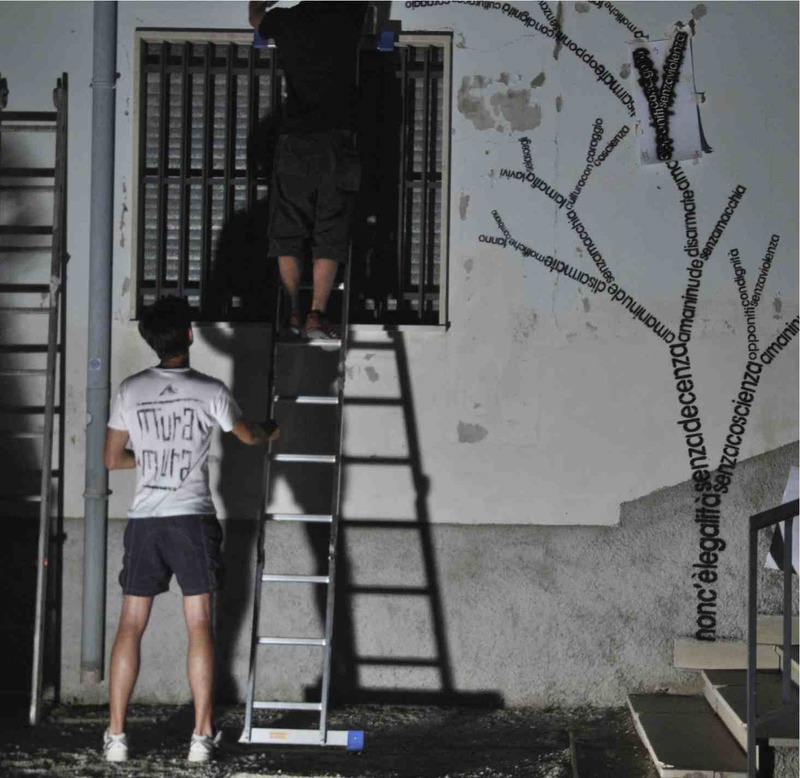 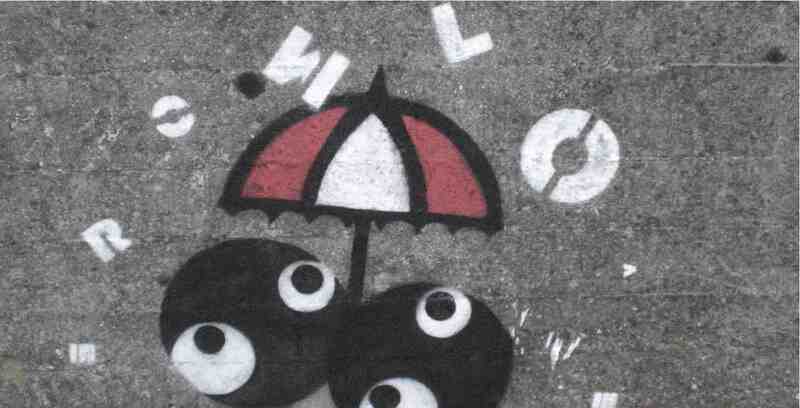 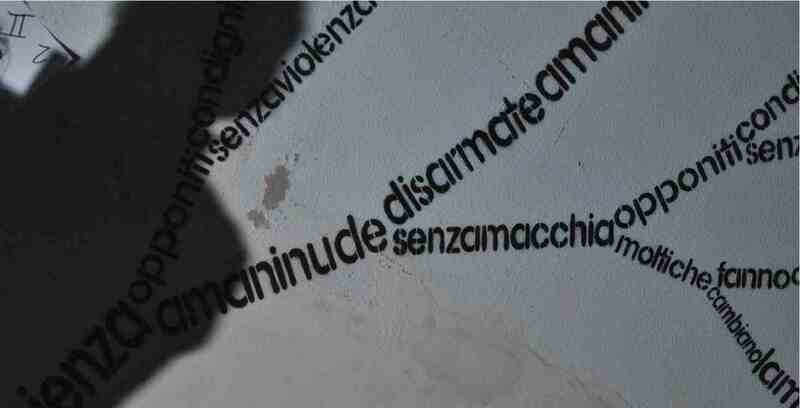 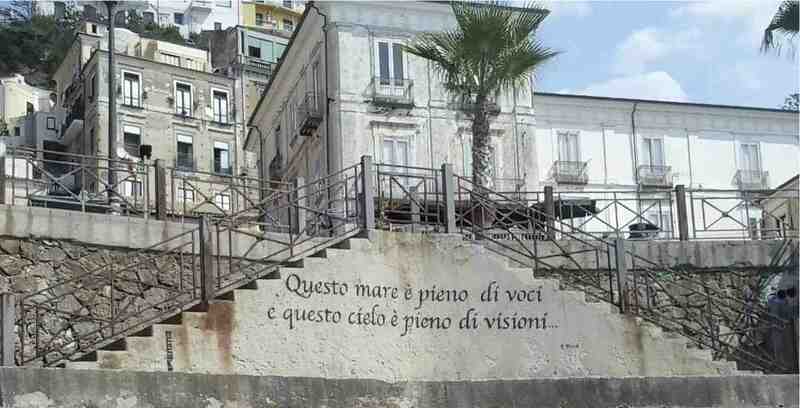 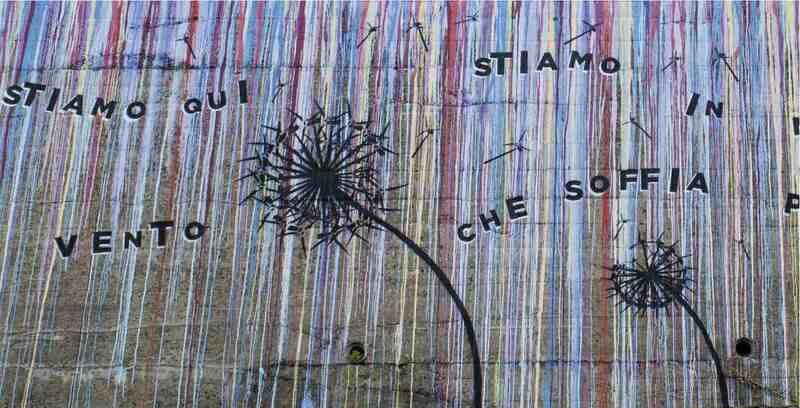 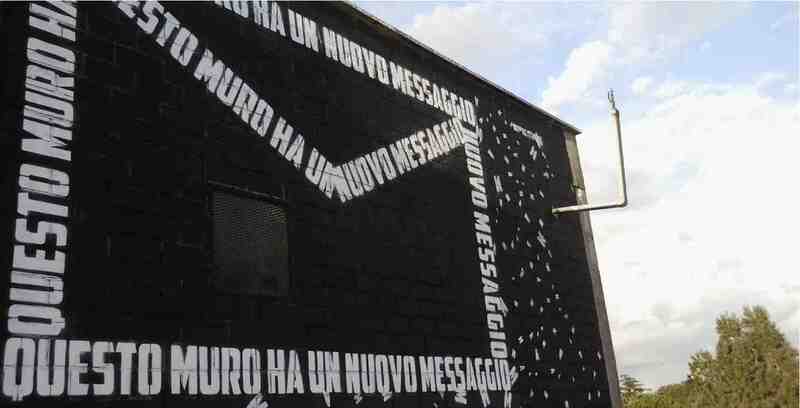 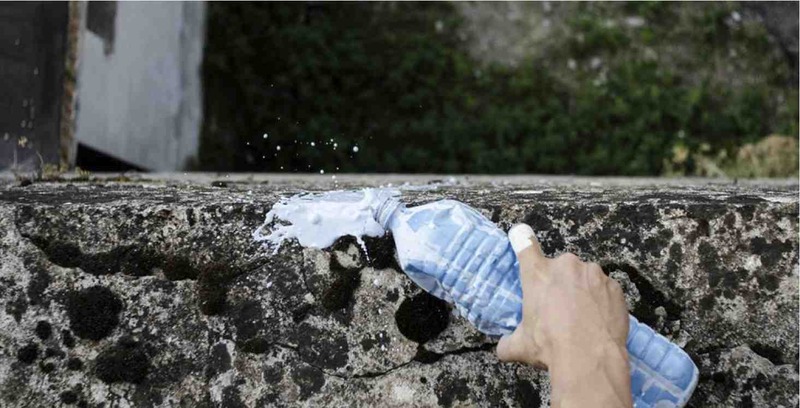 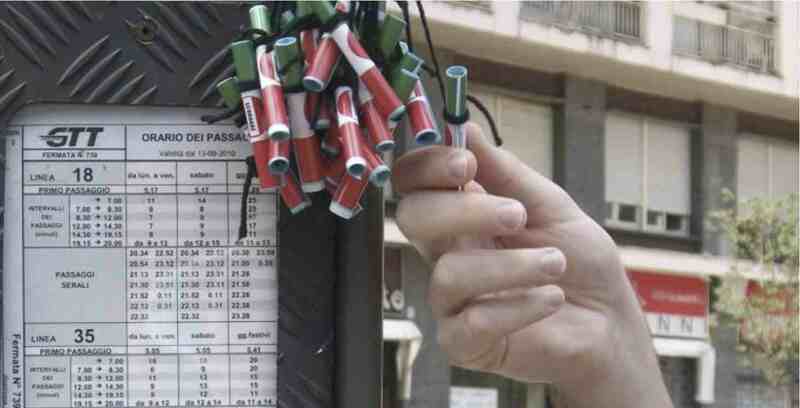 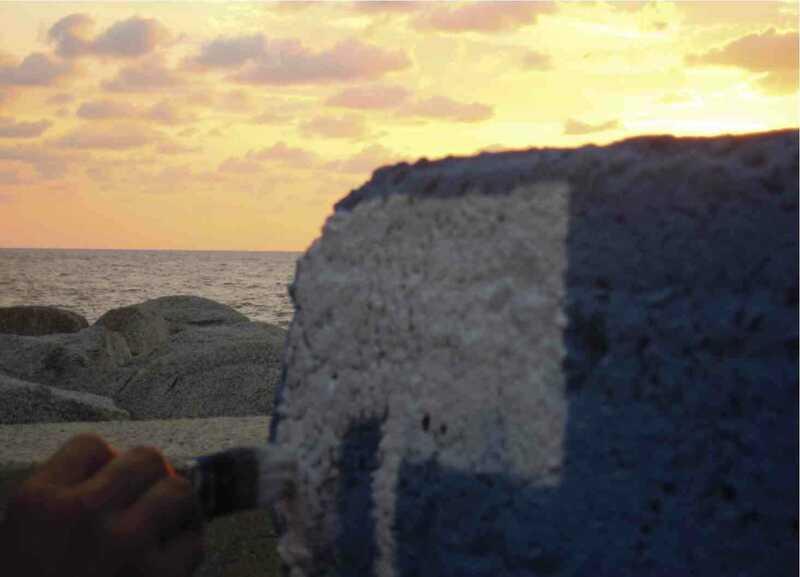 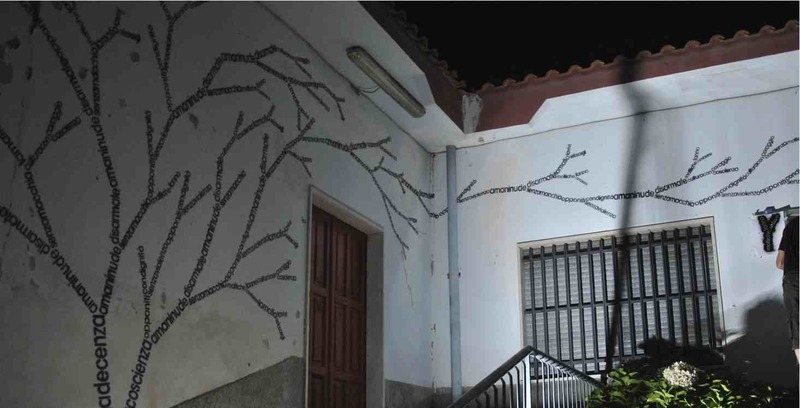 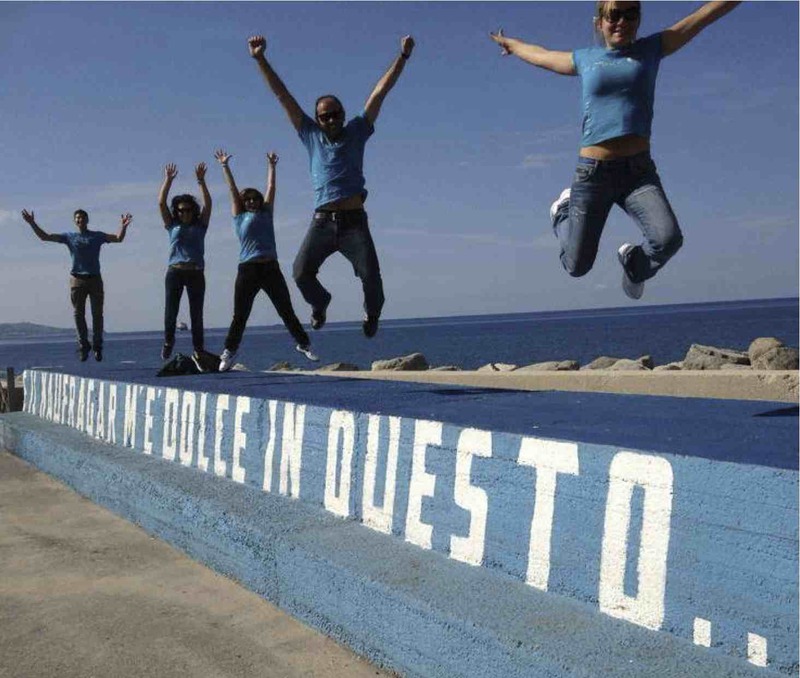 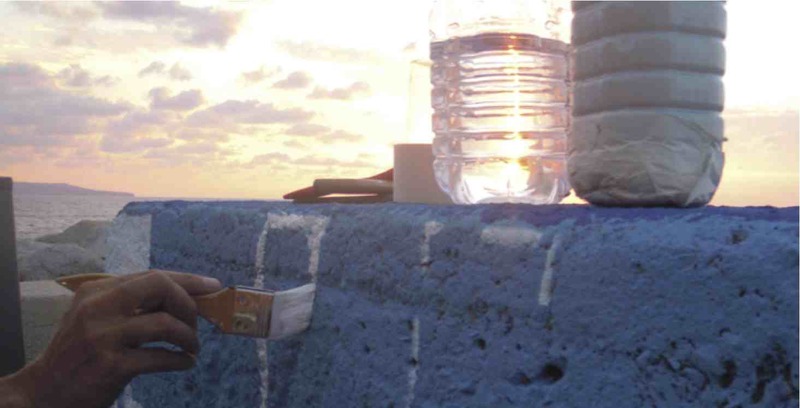 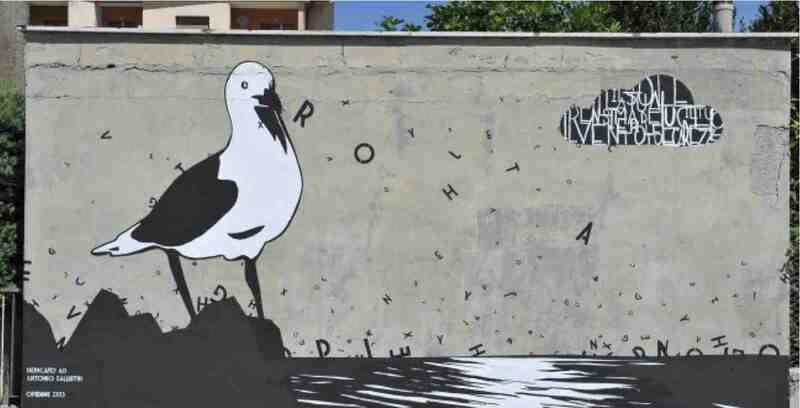 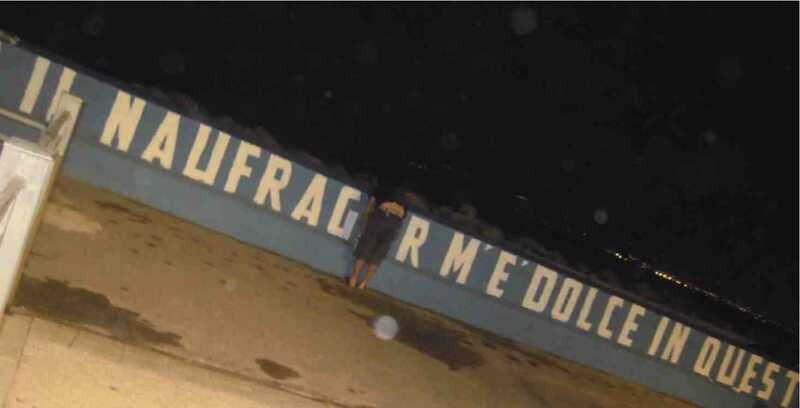 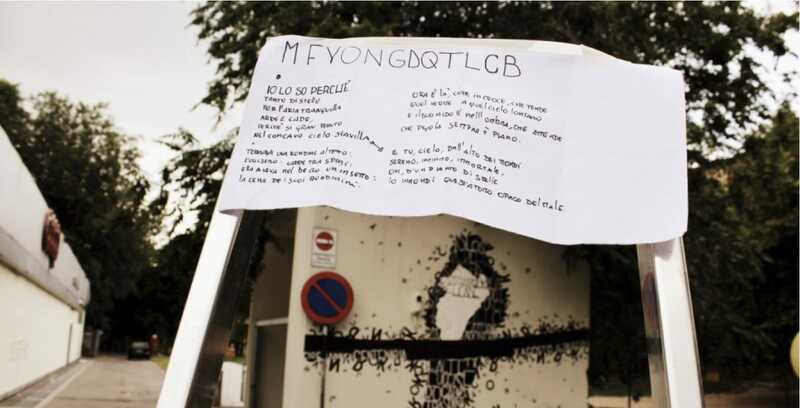 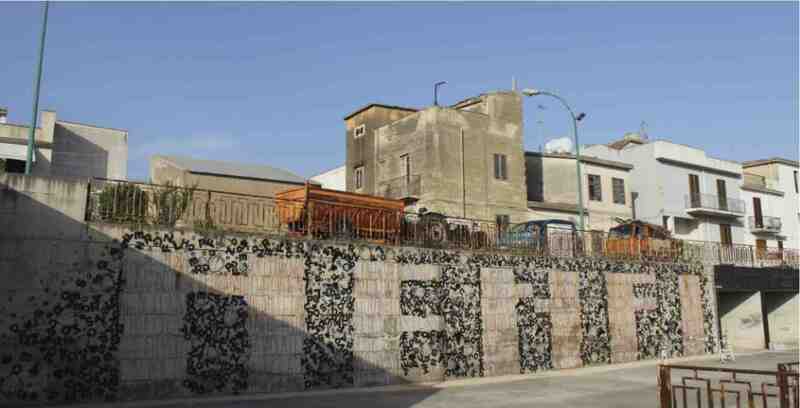 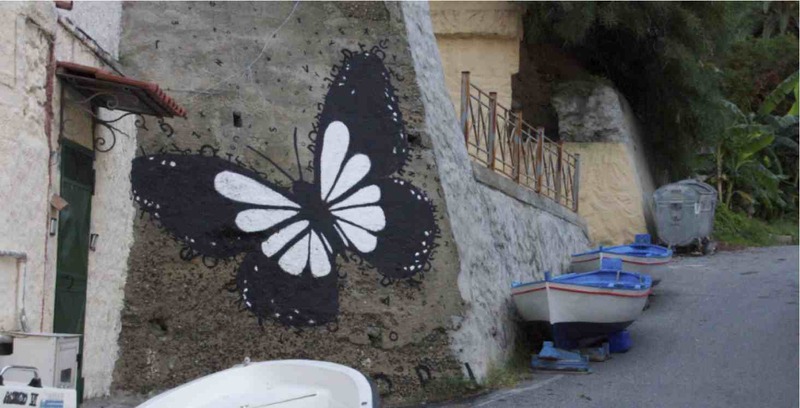 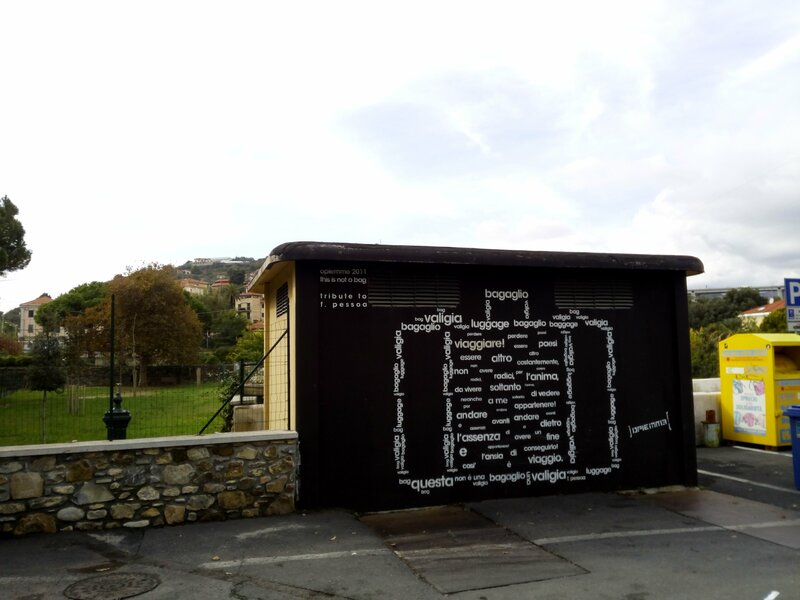 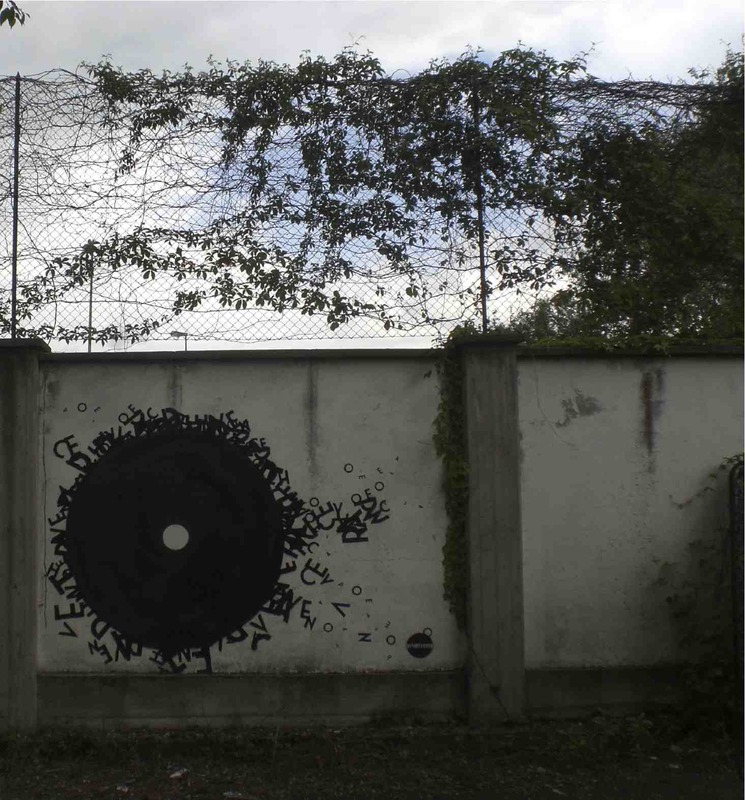 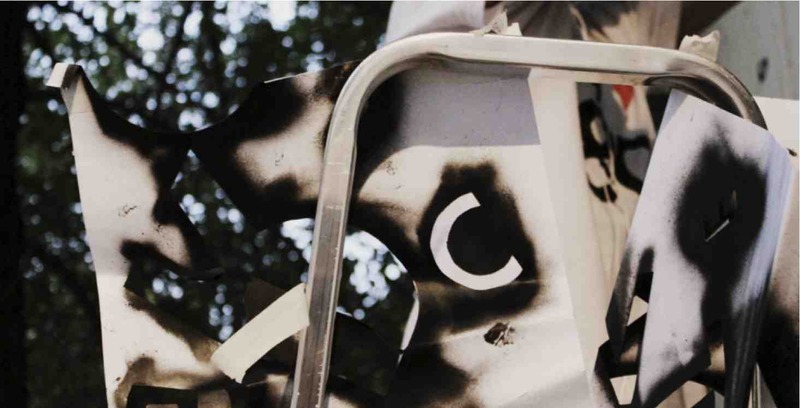 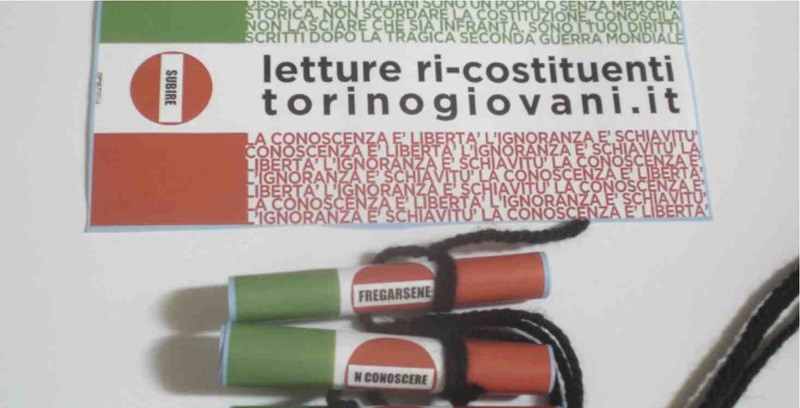 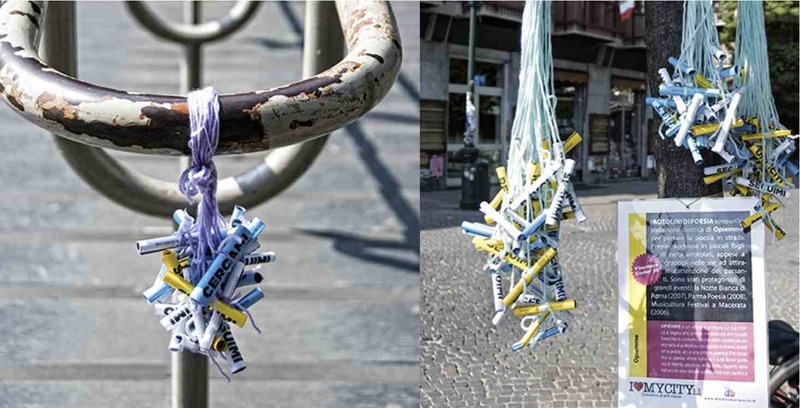 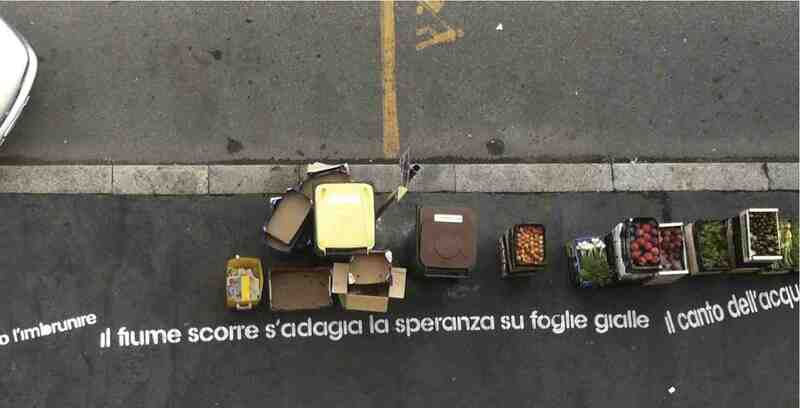 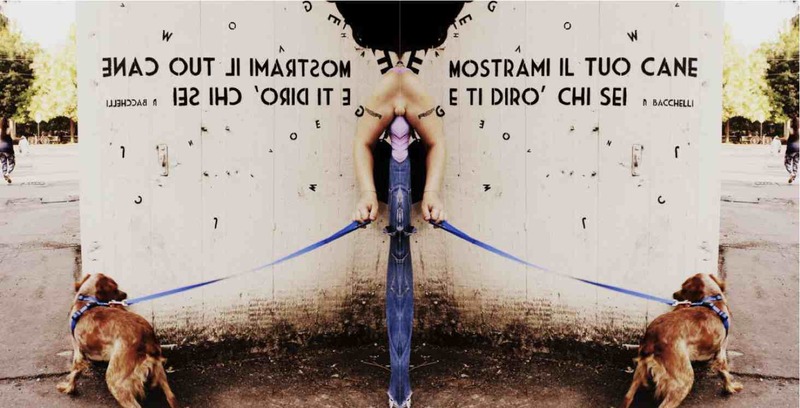 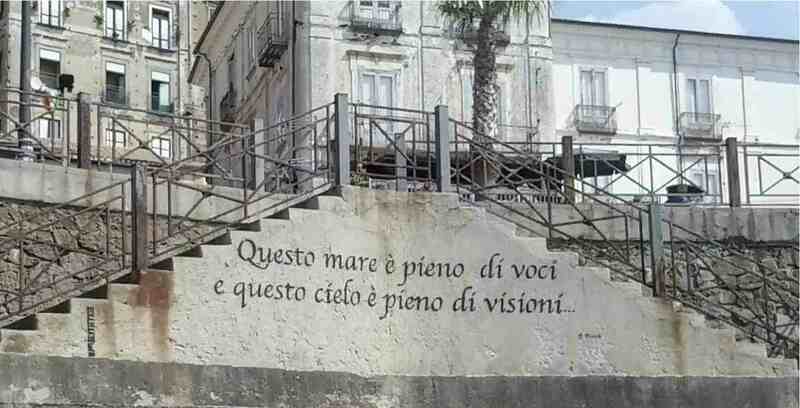 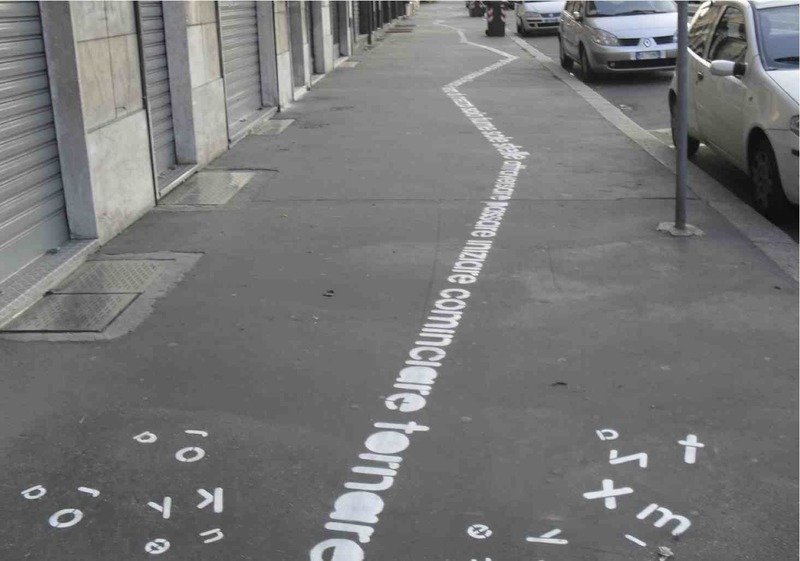 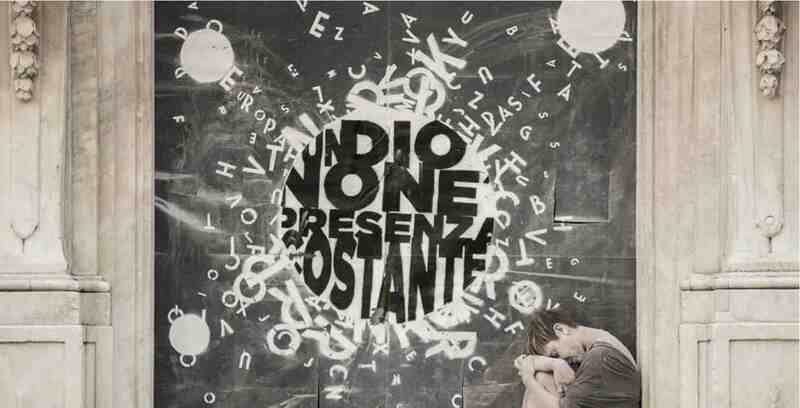 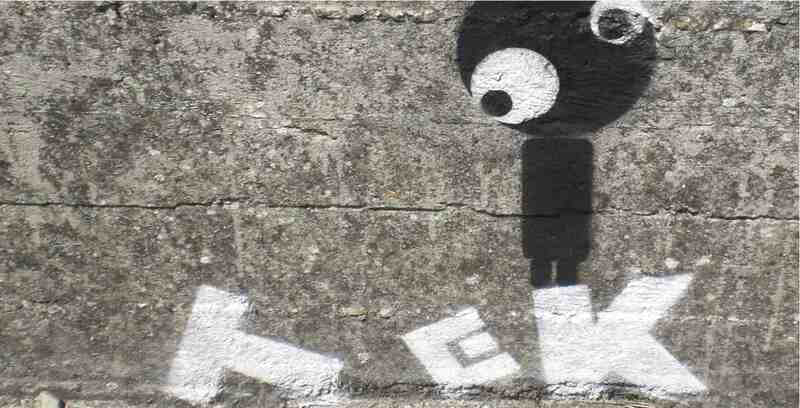 With a series of public poetic paintings, concieved in a site specific way, with attention to local poets, Opiemme created a poetic route (of street poetry) that simbolically crosses Italy from North to South. 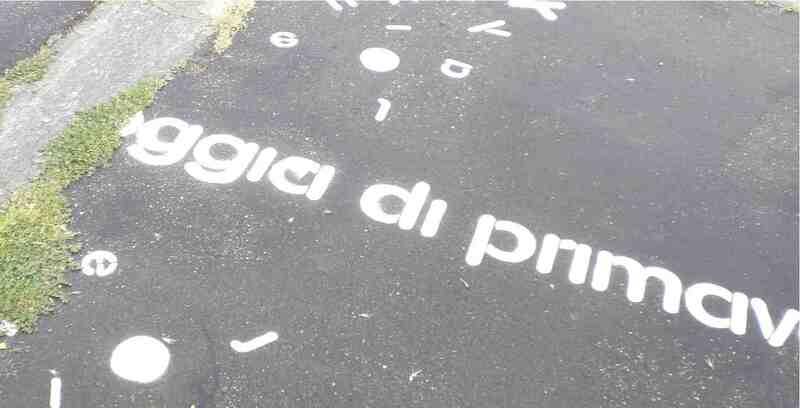 11 stages: Torino, Bologna, Rieti, Pizzo Calabro, Faggiano (Taranto), Ariano Irpino, Menfi, Genova, Tirano (Sondrio), Roma, Gaeta/Terracina. 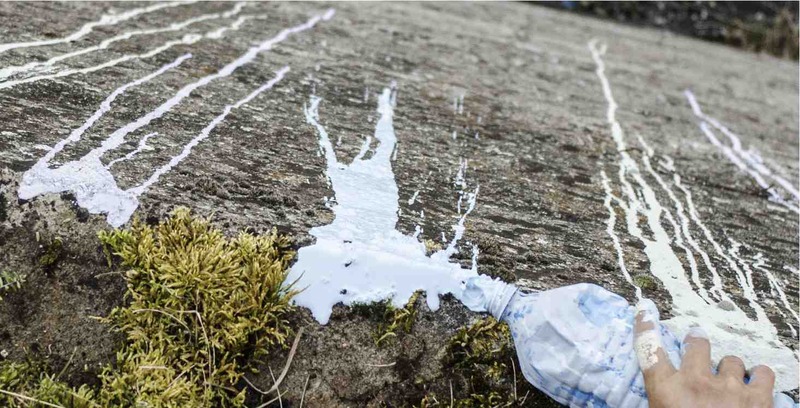 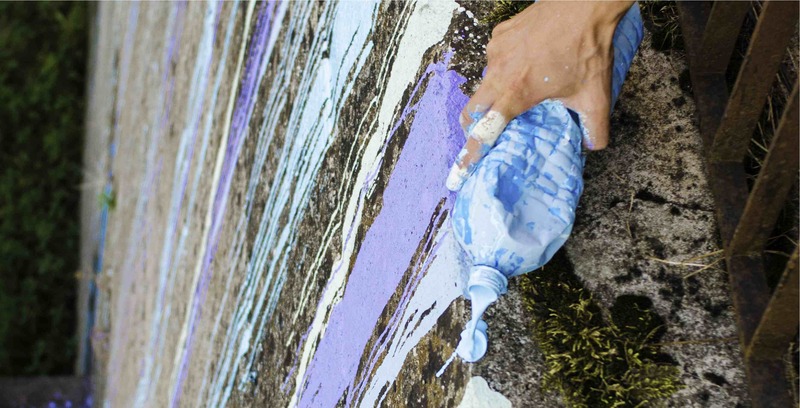 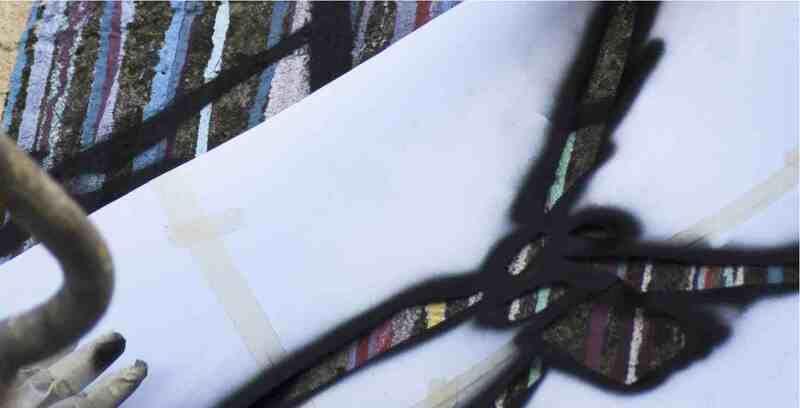 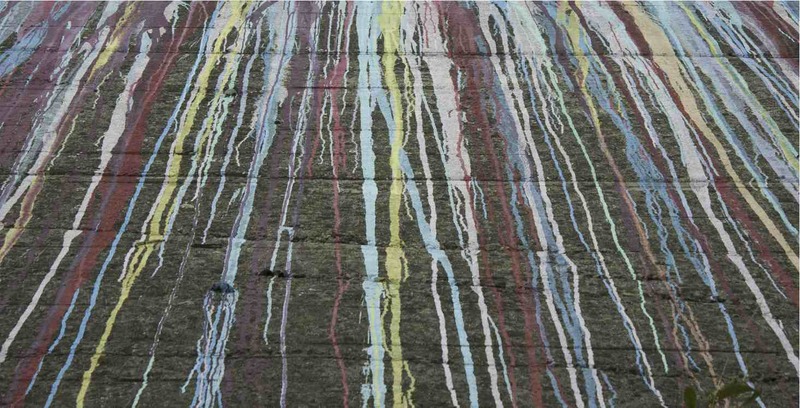 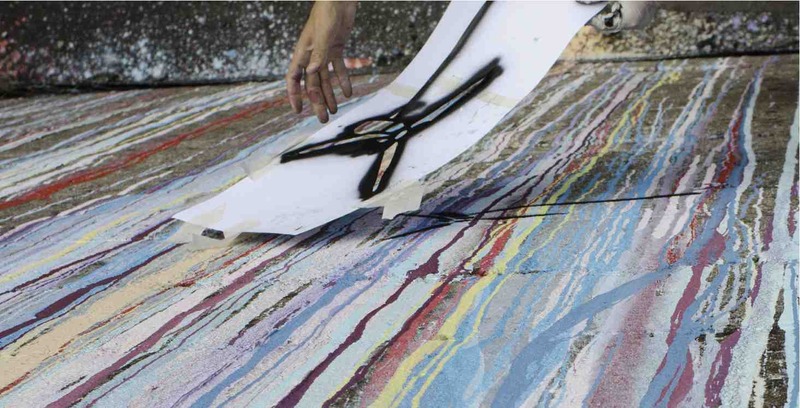 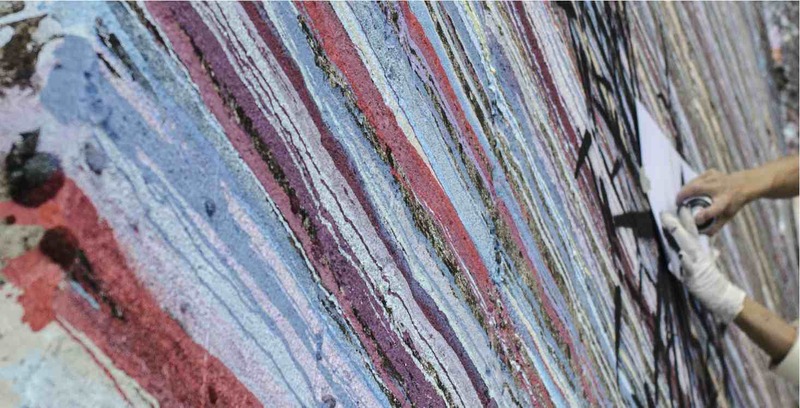 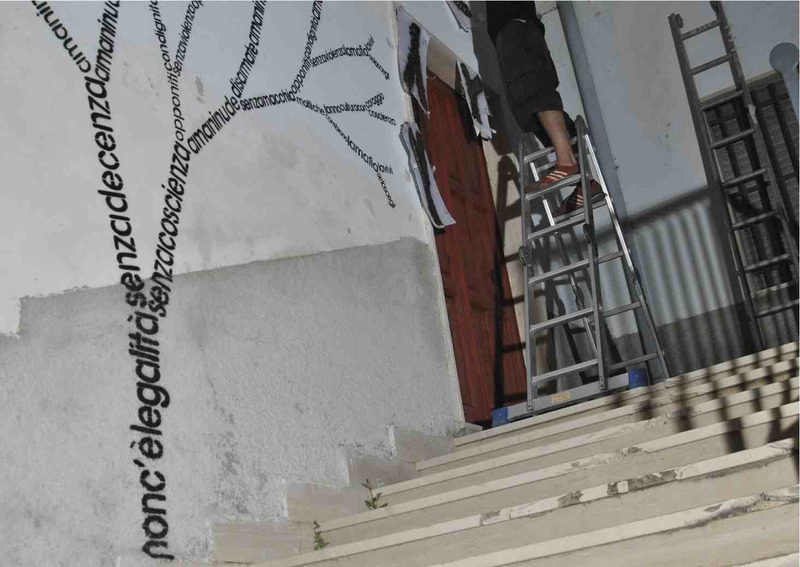 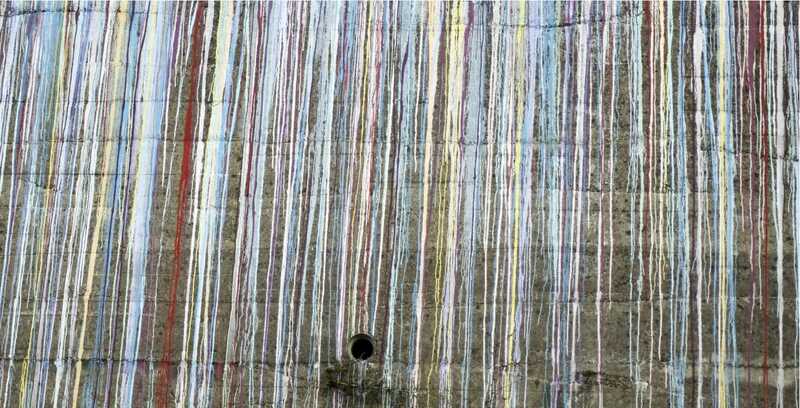 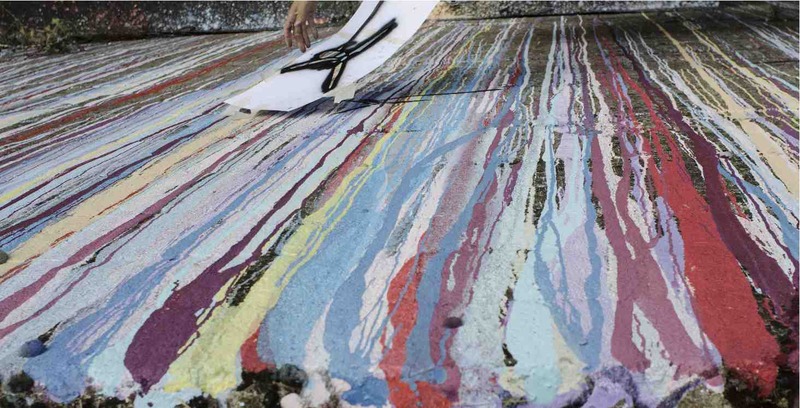 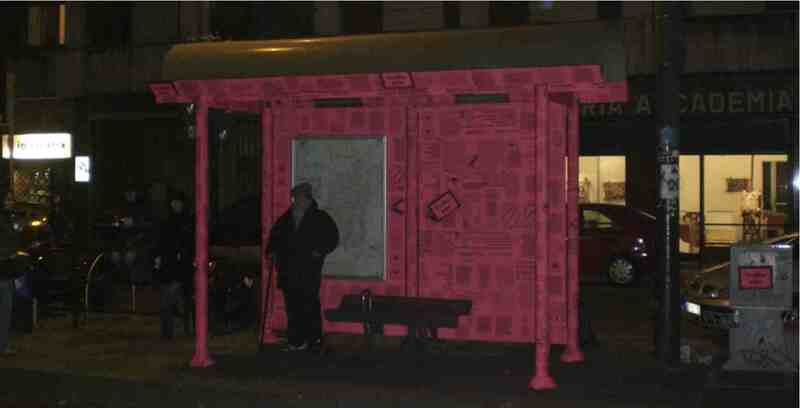 18 murals: from 30 to 180 square meters, a 7 km “River of words” painted on the pavements of Turin, 3 bus stop, and a site-specific for a performance. 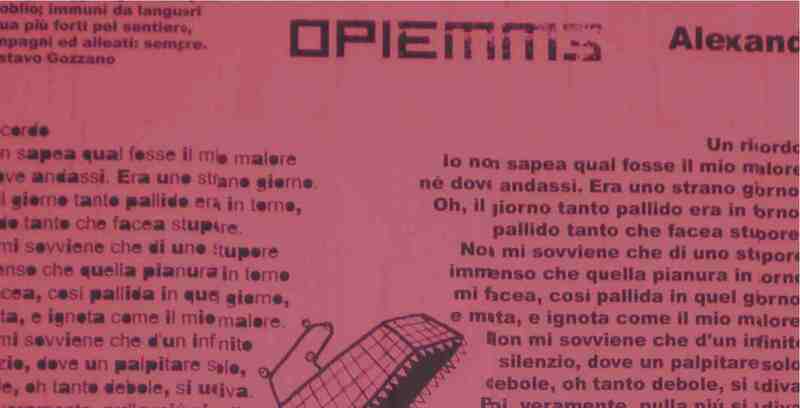 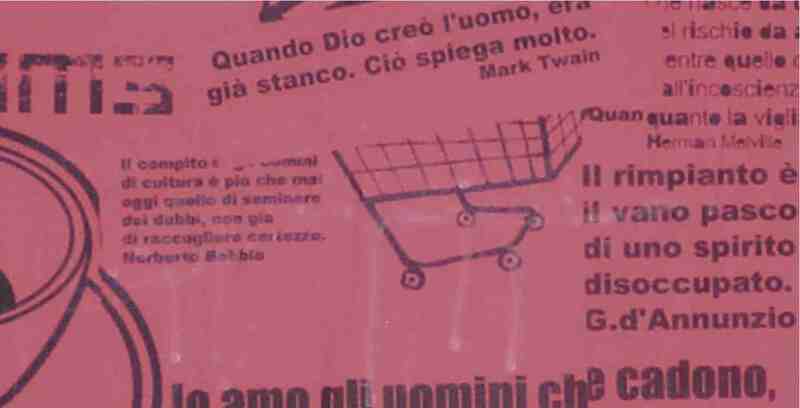 Poems and texts by: E. A Poe, Giovanni Pascoli, S. Francesco D’Assisi, Louise Armstrong, Franco Arminio, Giacomo Leopardi, System of a Down, local poets from Menfi (Sicily), Riccardo Bacchelli, and others. 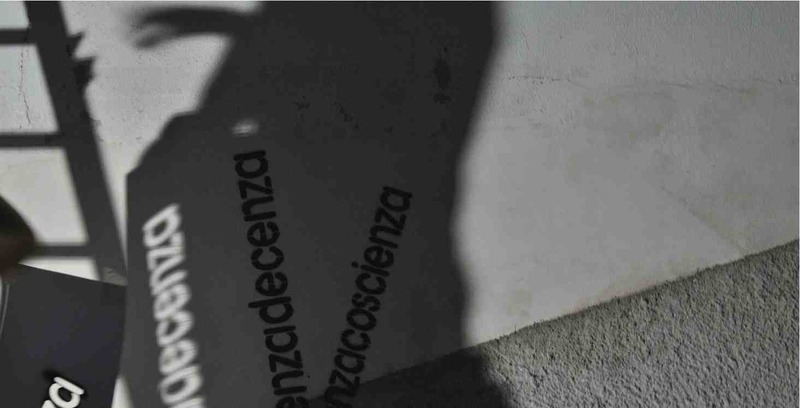 Elastico Studio and Antonio Storelli (Bologna), 3)5 Artecontemporanea (Rieti), Bi-BOx Art Space (Biella), Studio D’Ars (Milano). 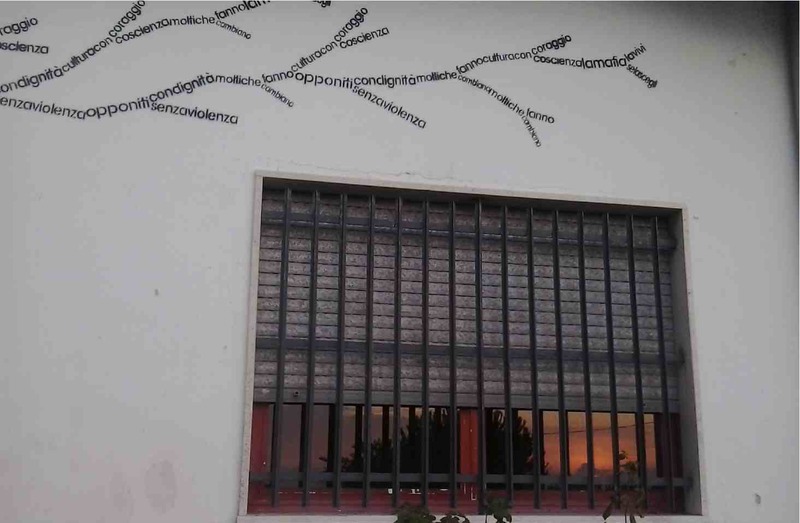 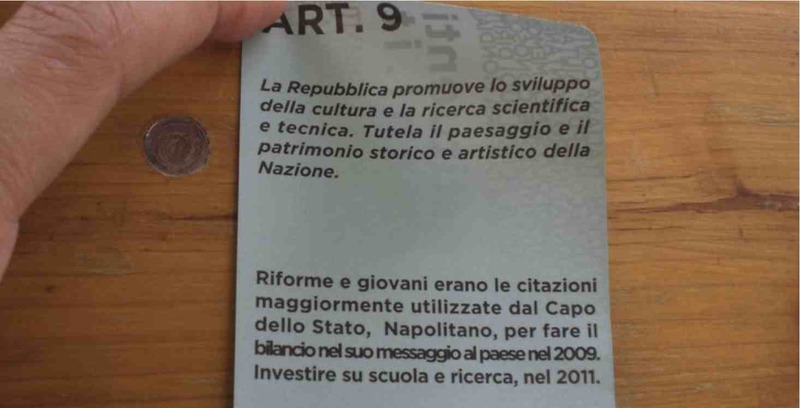 Quattro giorni su una parete di oltre 150mq, con le parole del poeta locale Franco Arminio. 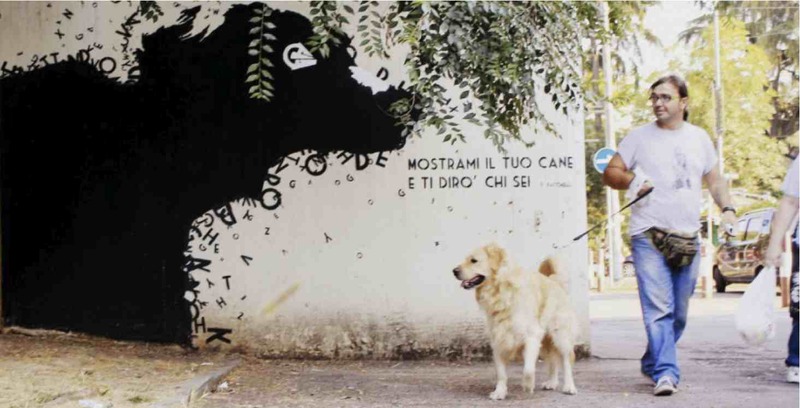 “Show me your dog is and I’ll tell you who you are”, Riccardo Bacchelli (Bologna, 19 April 1891 – Monza, 8 October 1985). 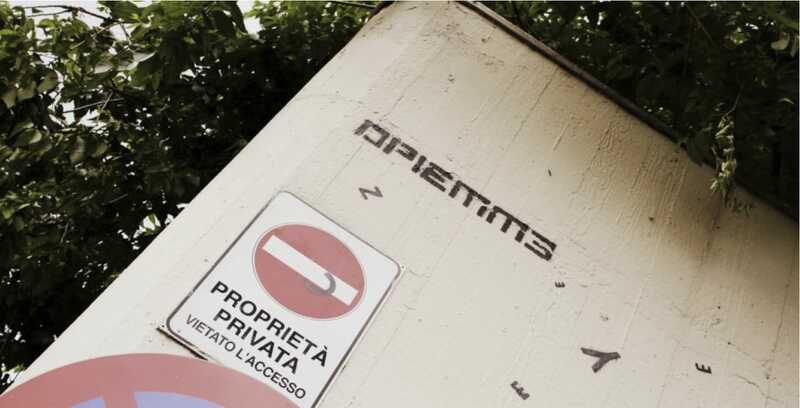 After painting a tribute to Giovanni Pascoli, Opiemme is back in Bologna. 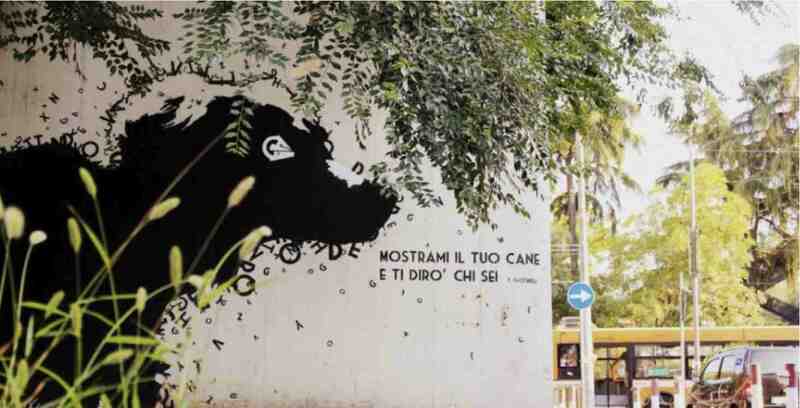 A new mural in Bologna, dedicated to Italian poet Giovanni Pascoli (San Mauro di Romagna 1855- Bologna, 1912). 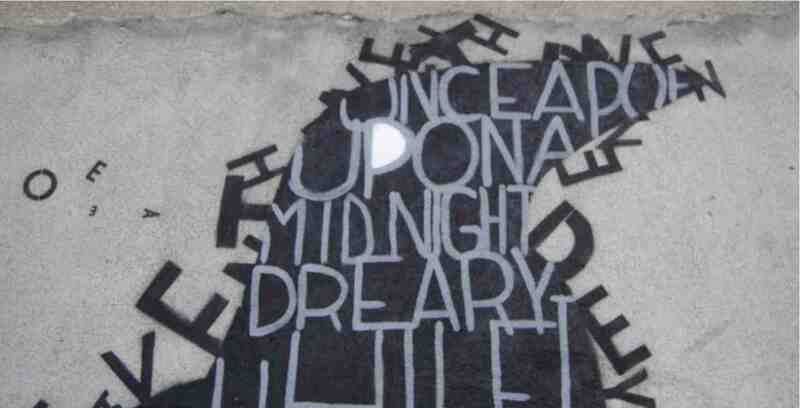 in the glittering vault of heaven. 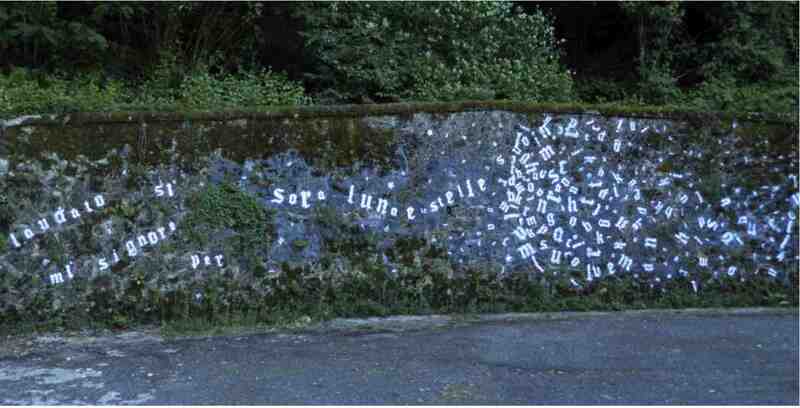 they killed her – she fell among thorns. 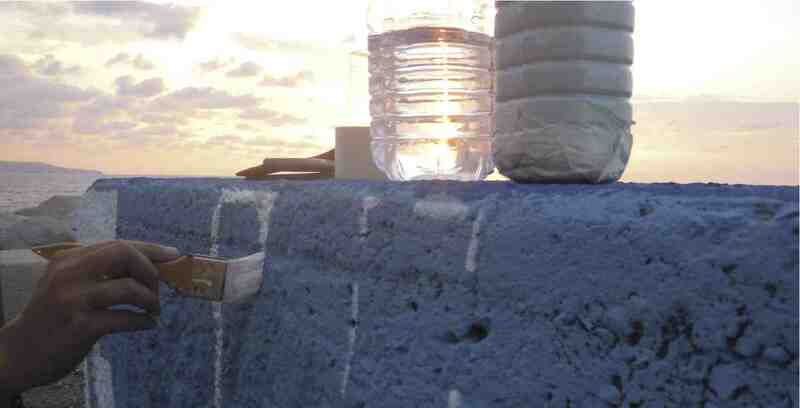 the dinner for her little ones. 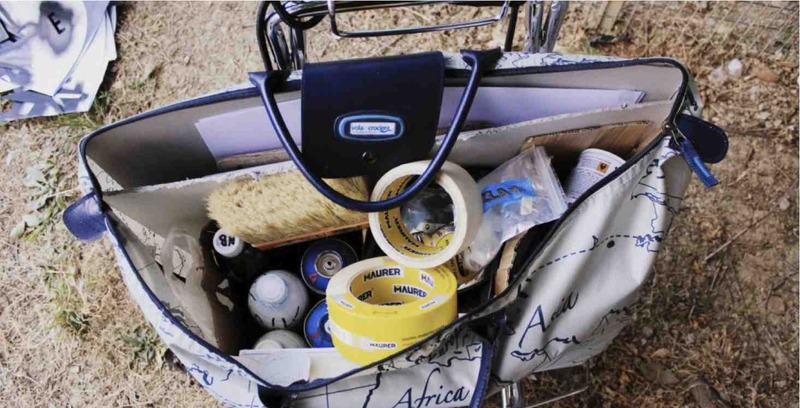 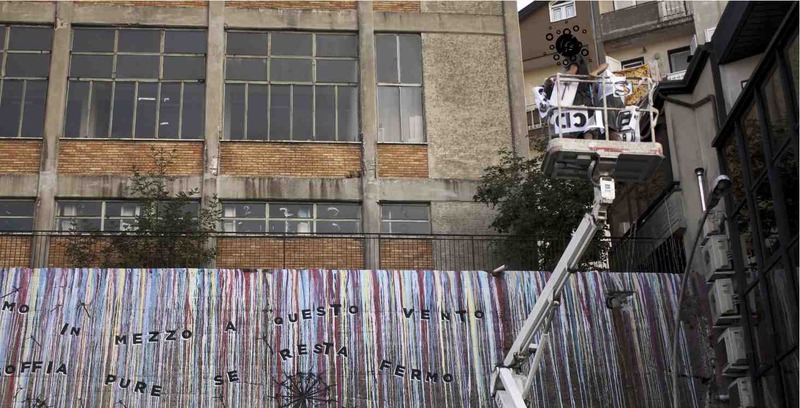 A part of the “Revitilizing Barca and Bertolla” project involved the local merchants, who were invited to chose an artistic happening that would enliven their neighbourhood. 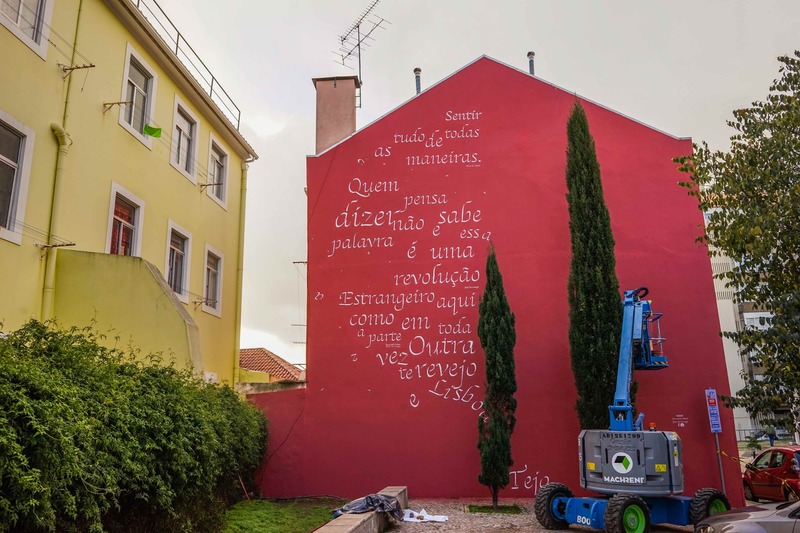 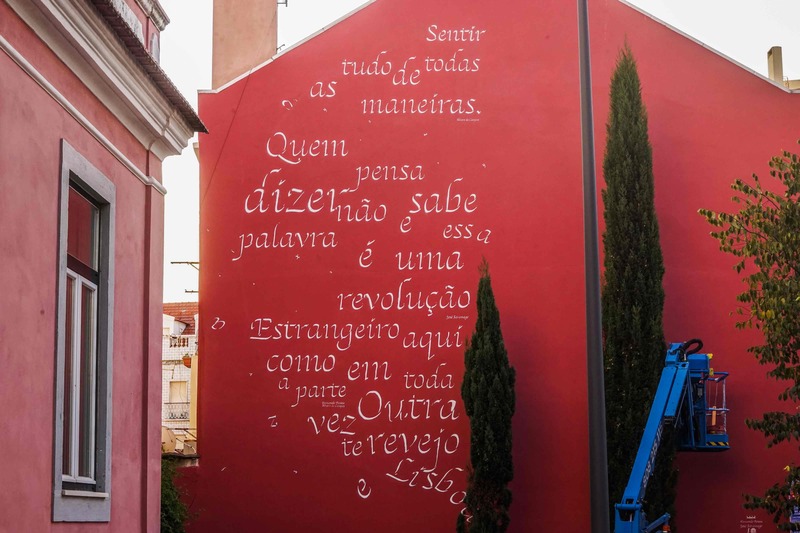 The project is now entering its final stage, and the merchants chose the artistic event that combines poetry with street art in the form of an installation by Opiemme. 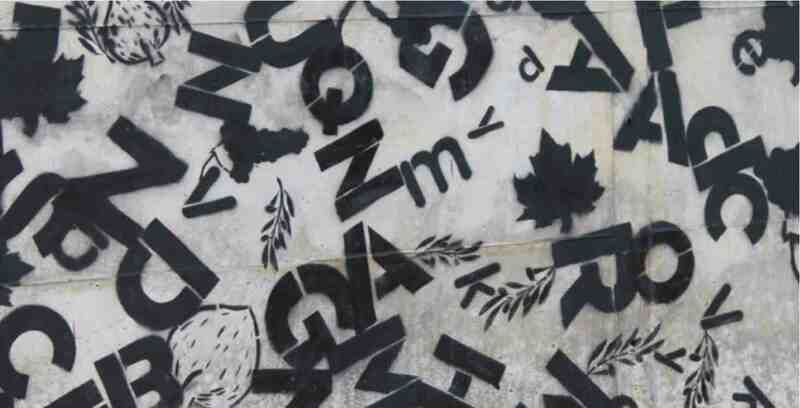 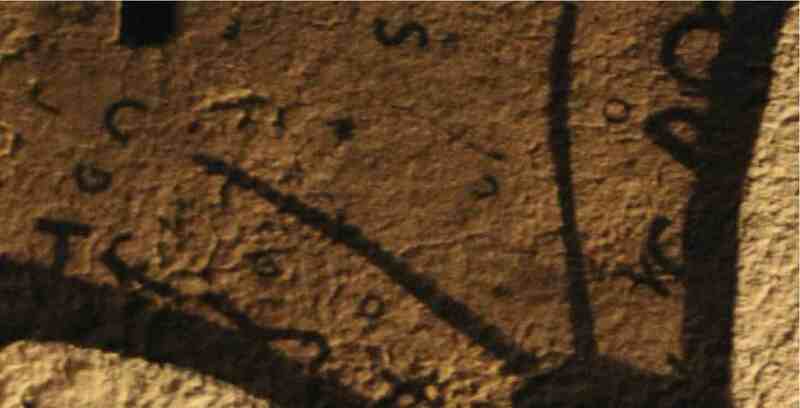 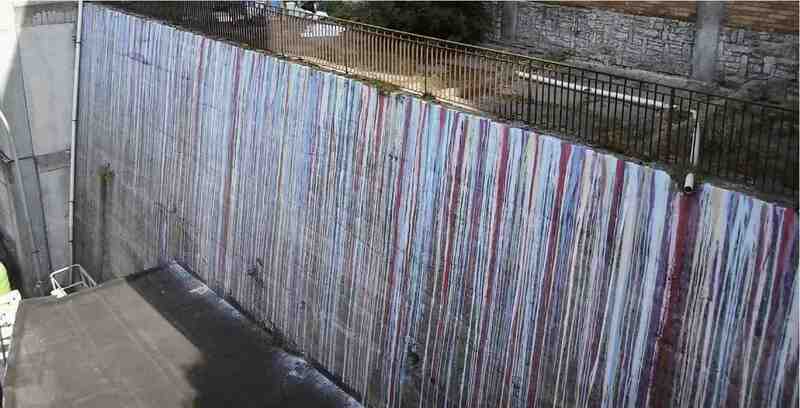 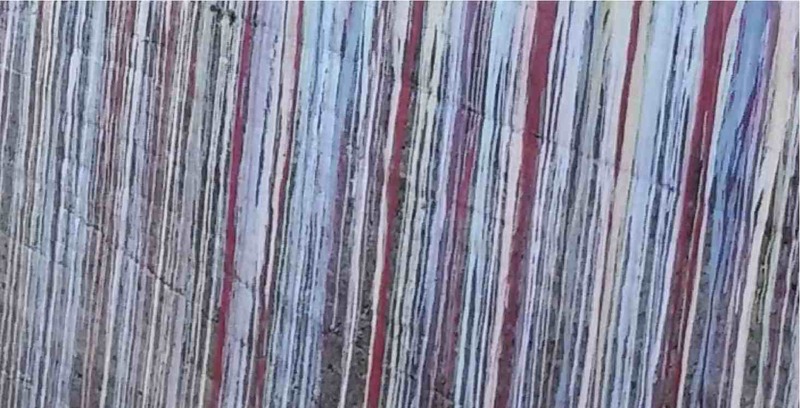 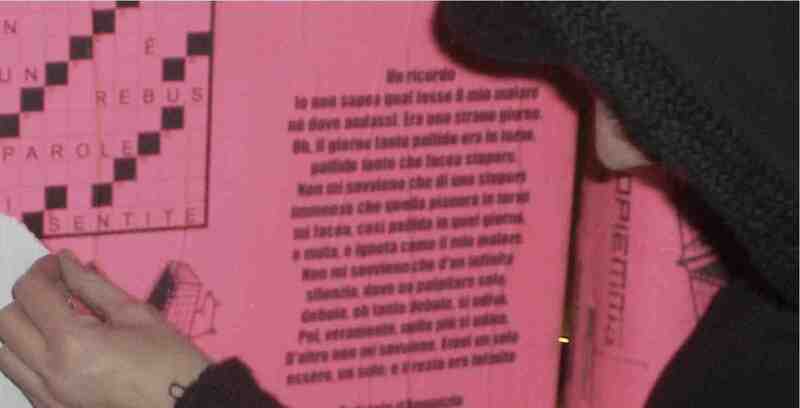 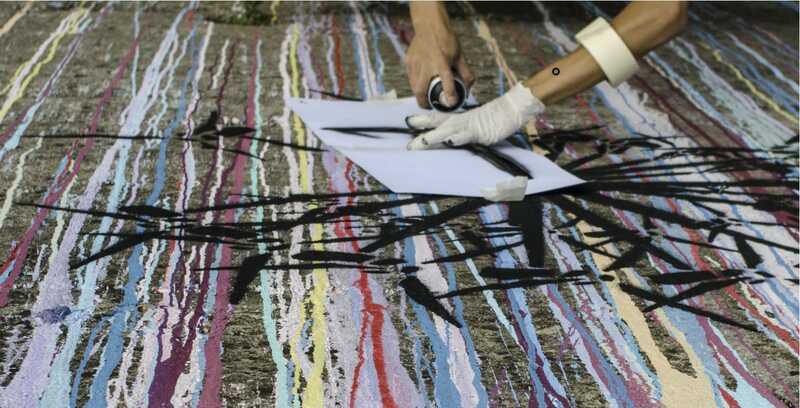 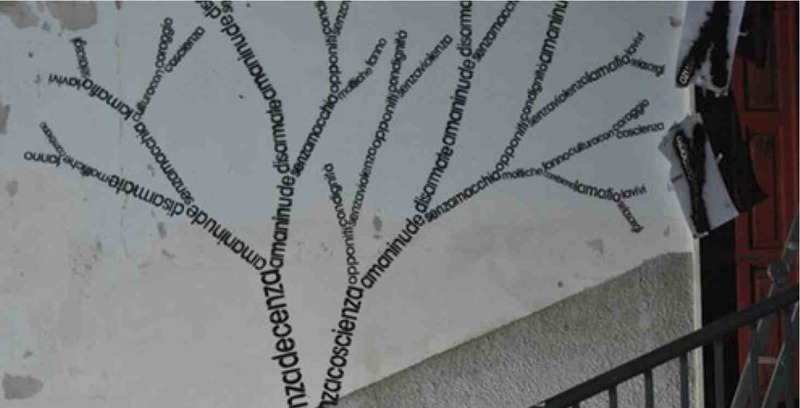 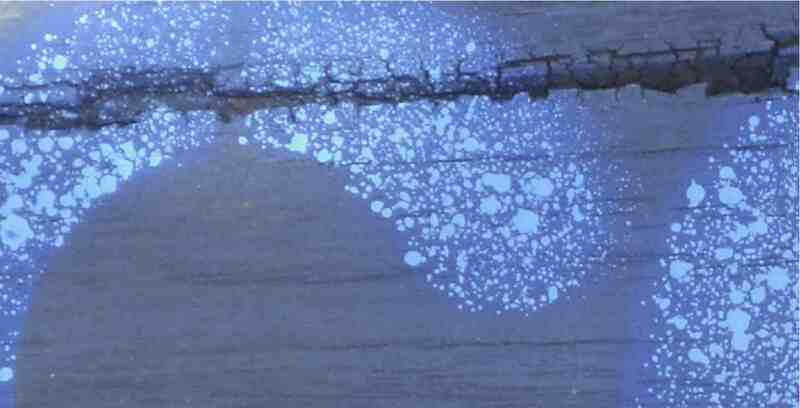 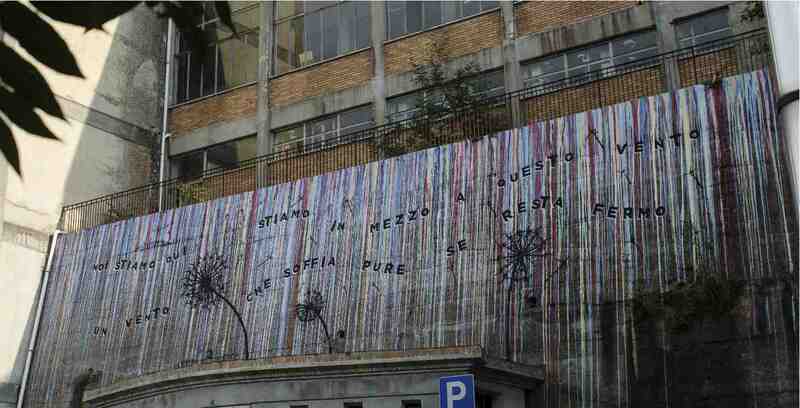 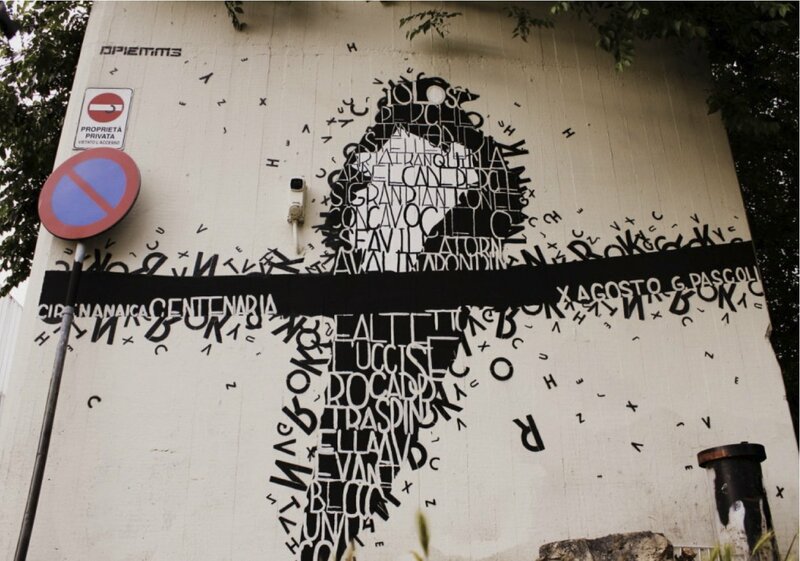 The author classifies the installation, called “A river of words from Barca to Bertolla”, as a “poetic painting”. 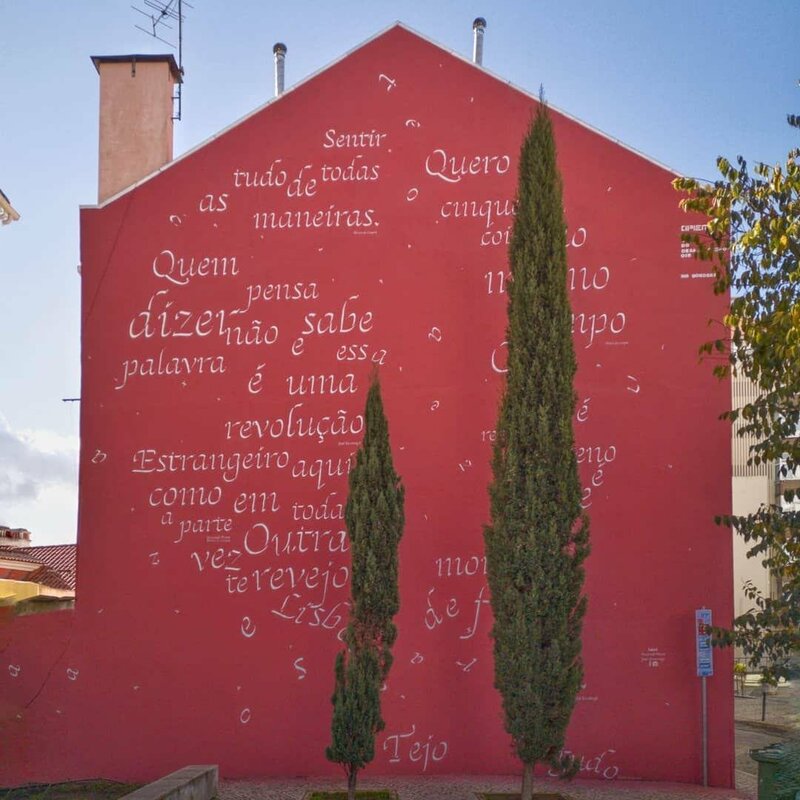 The installation on one hand will create added value for the neighbourhood, and on the other it will bring its inhabitants closer to art and poetry. 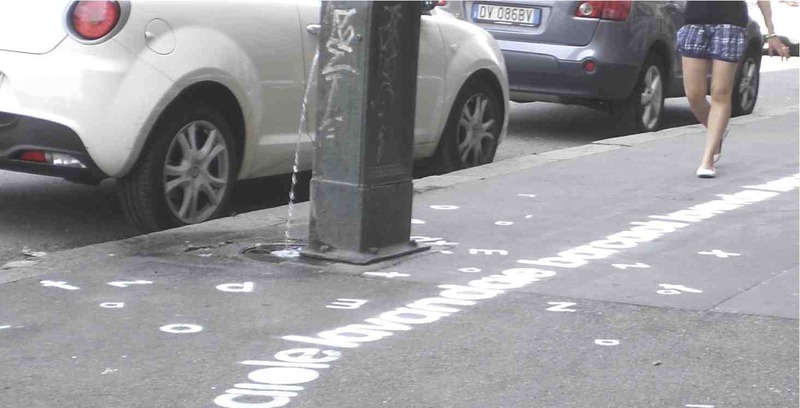 All this thanks to Opiemme, an artist and street poet, who will decorate the pavements with a river of words, connecting in this way the two areas with writings on the theme of water — the element that has marked the history of both neighbourhoods, in the past inhabited by washerwomen and boaters. 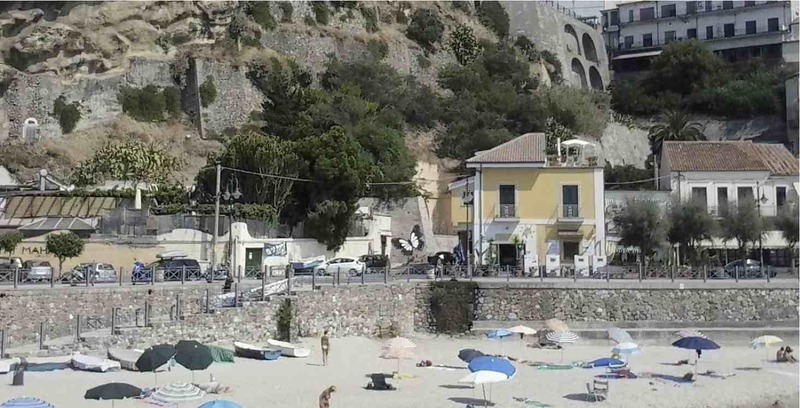 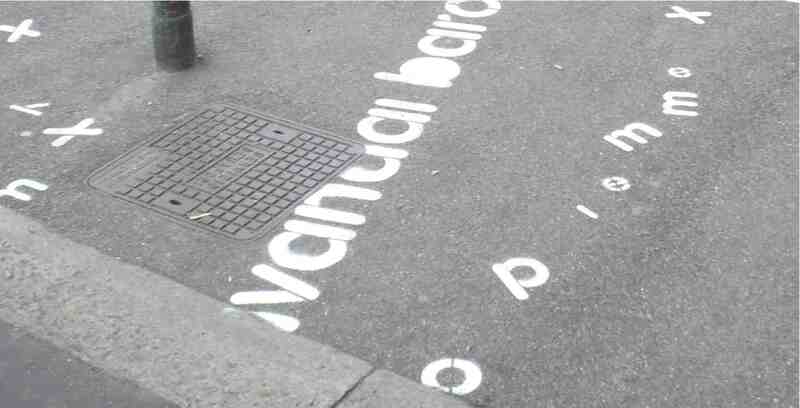 The event was inaugurated in the first week of July and it aims at decorating 7 km of pavements along Strada San Mauro and Strada Settimo. 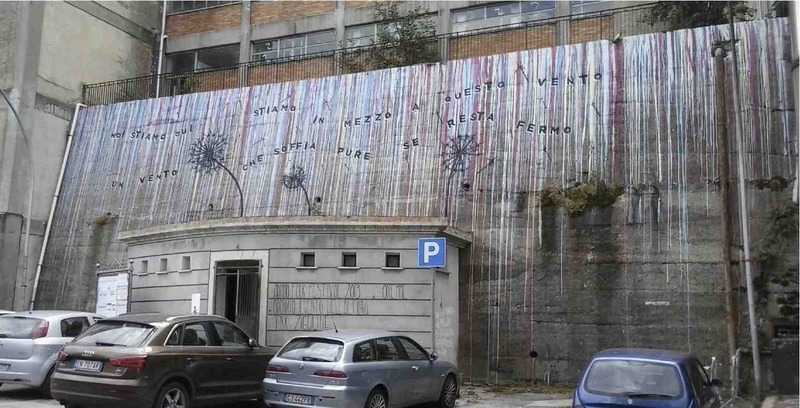 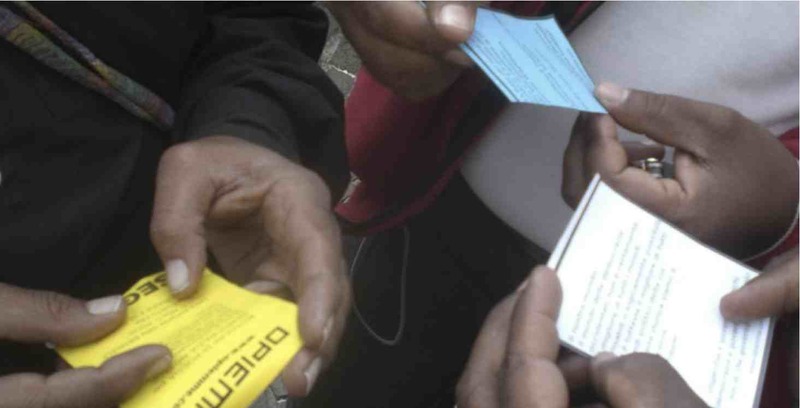 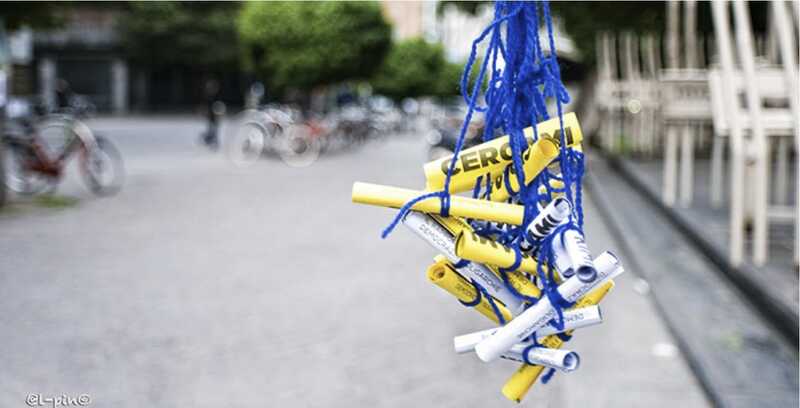 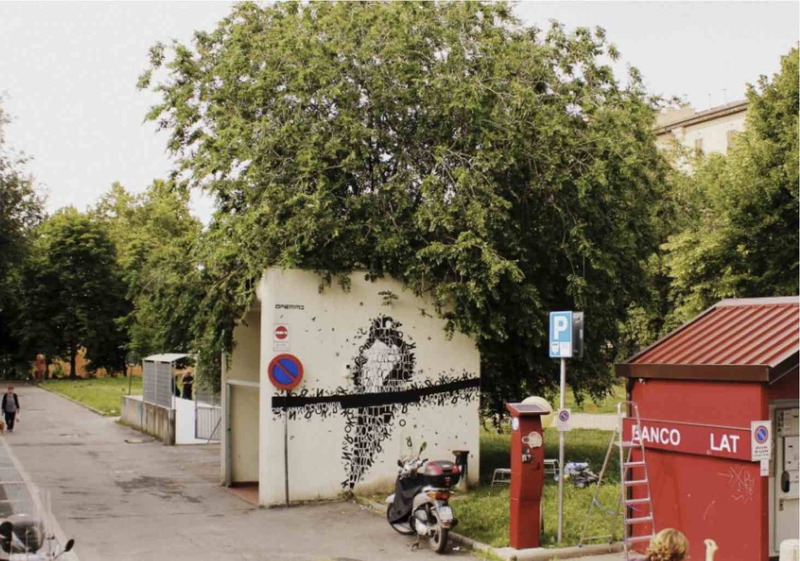 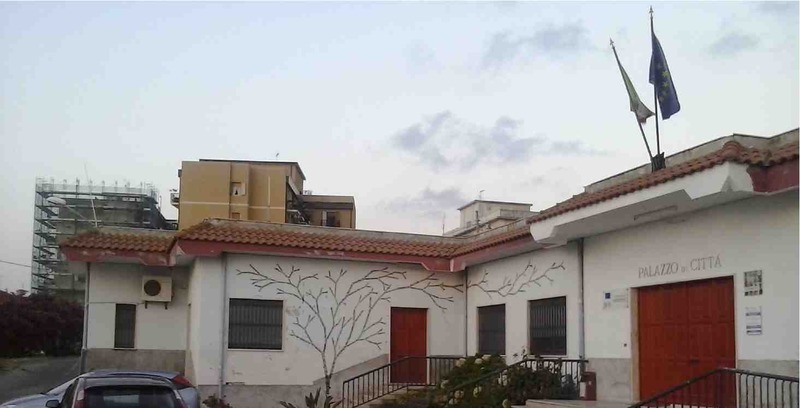 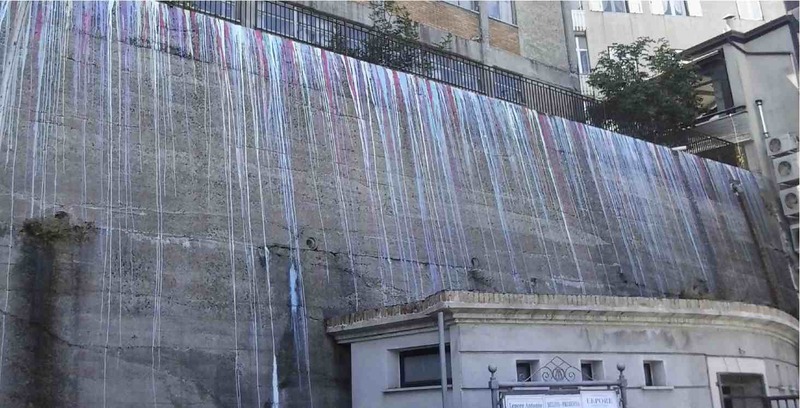 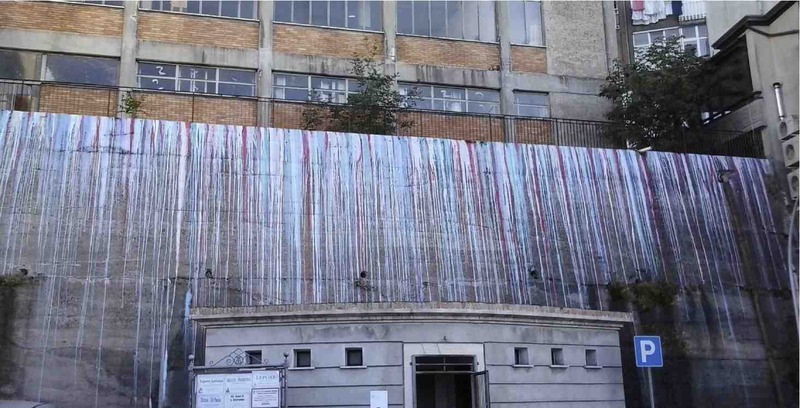 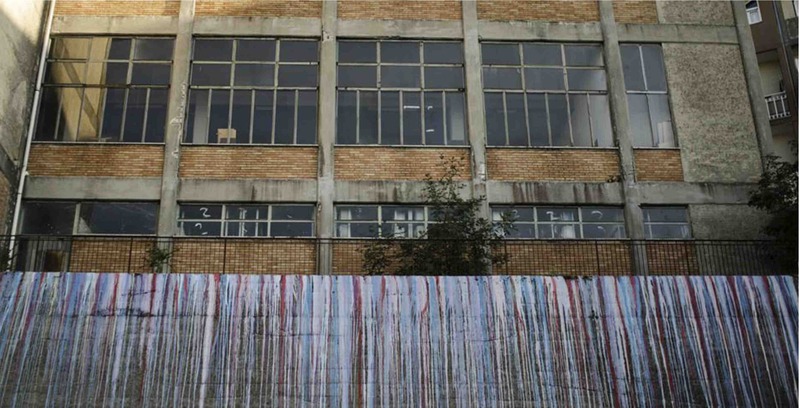 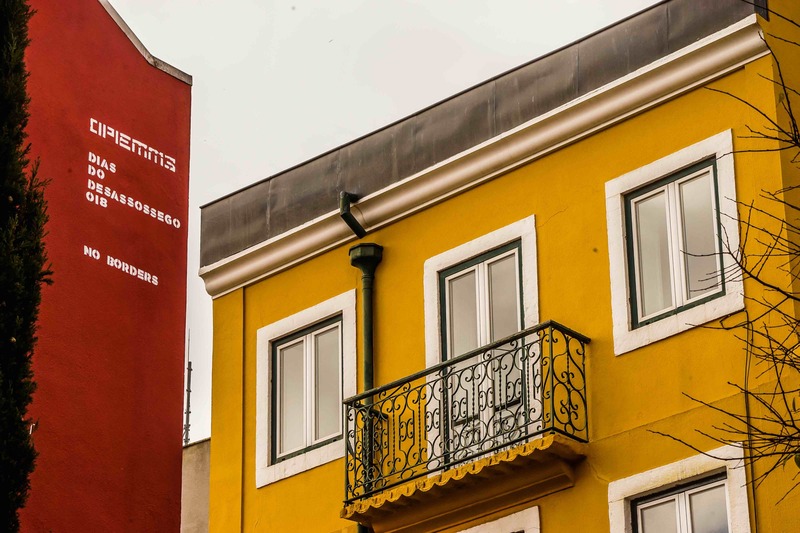 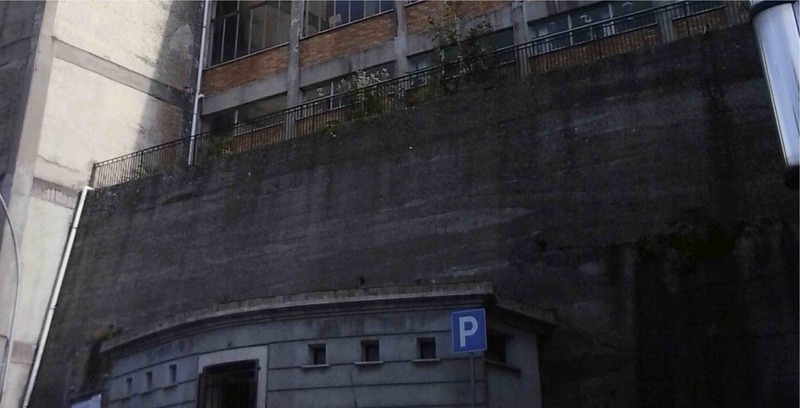 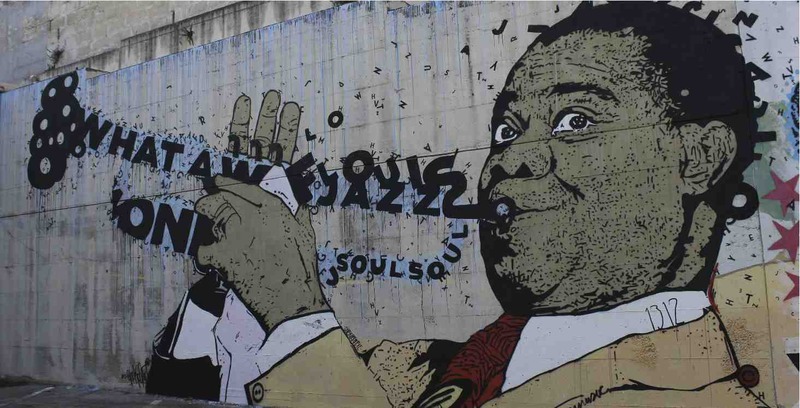 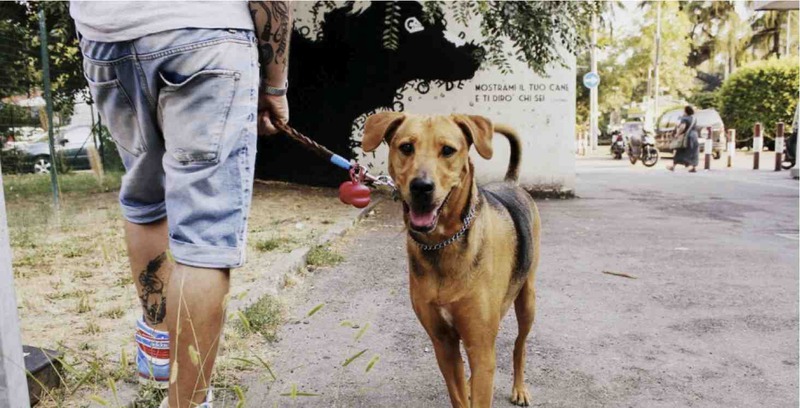 This initiative was designed to address the need of giving to both of these streets their own character, to establish a connection between Barca and Bertolla and, last but not least, to make use of two busy roads to create a visible artistic event. 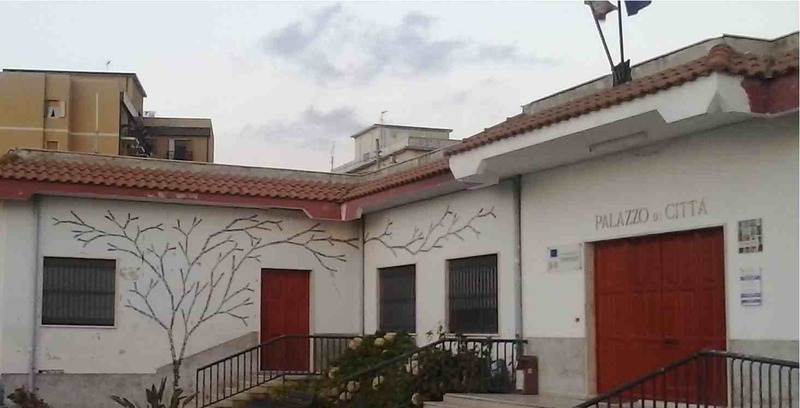 The project is carried out with the support of the District 6 of the city of Turin, and realized thanks “Bagni Pubblici di Via Agliè”. 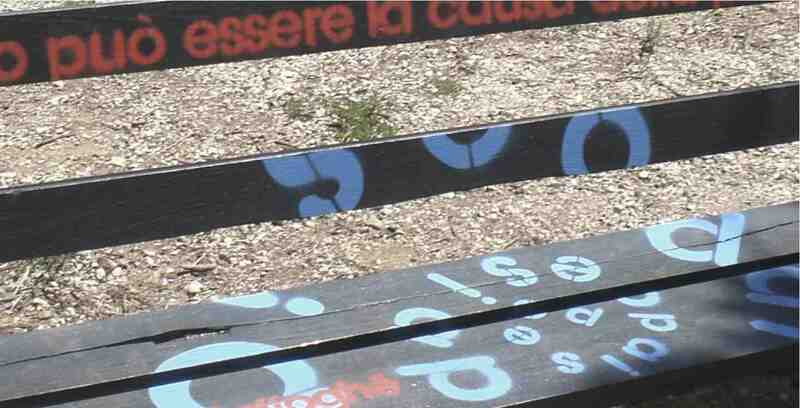 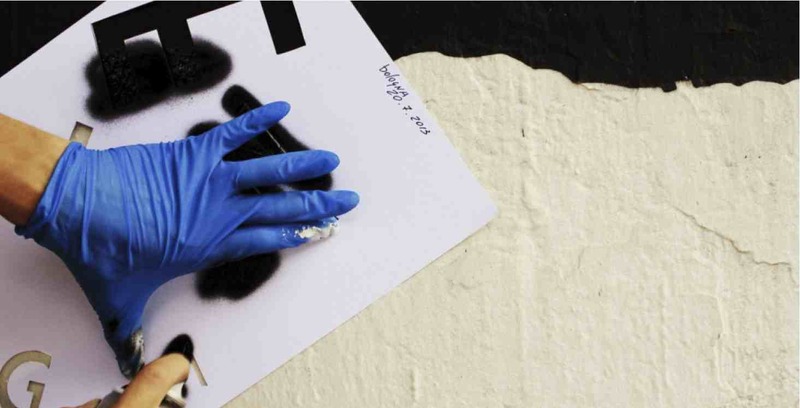 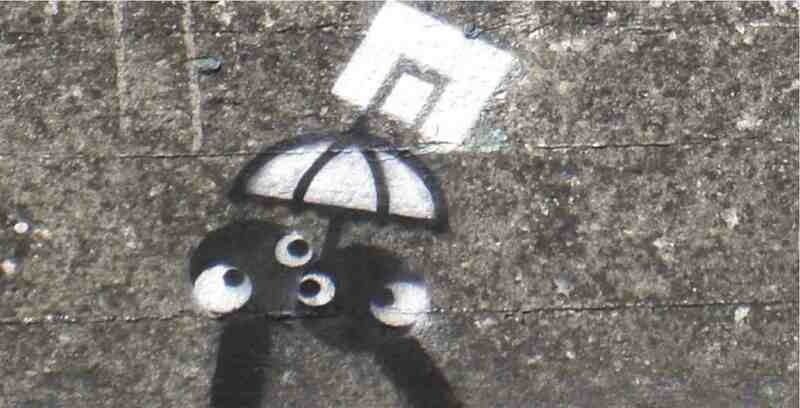 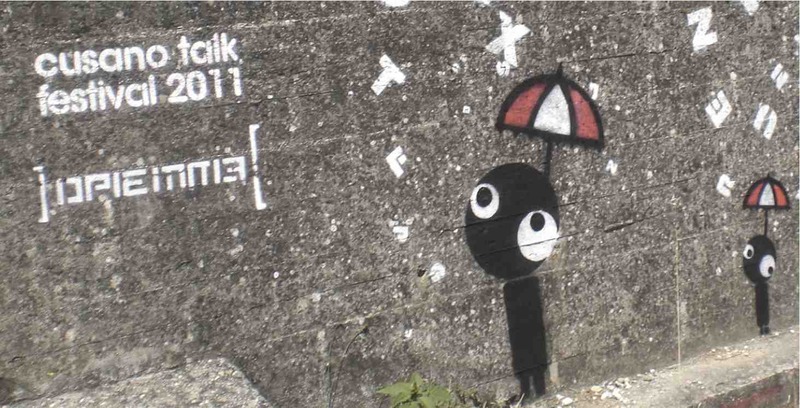 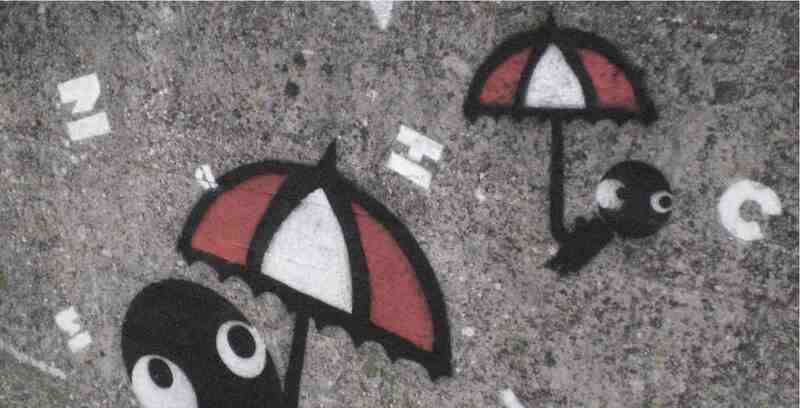 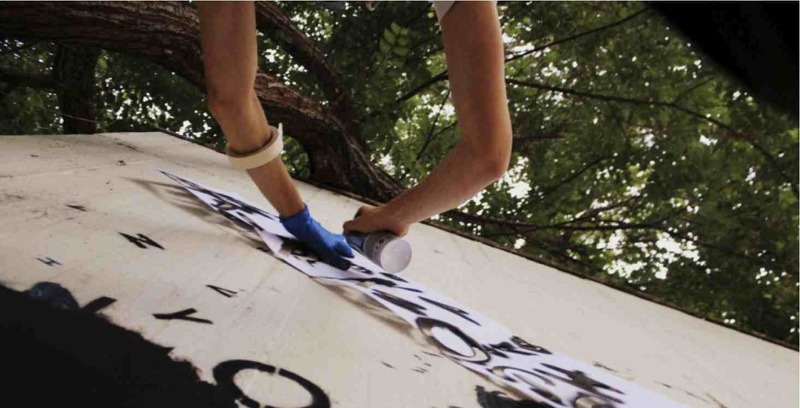 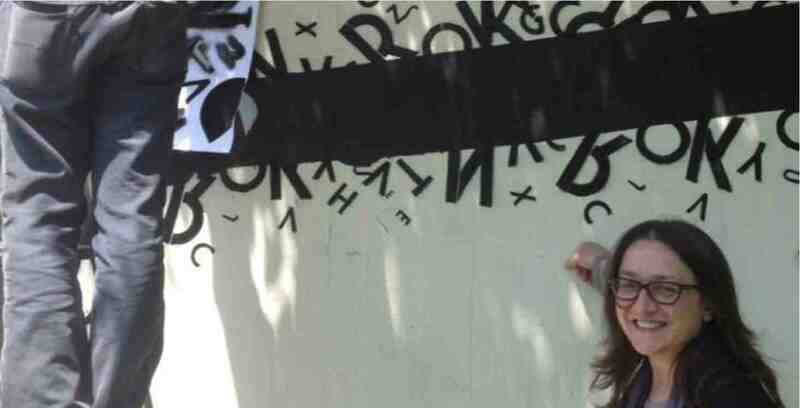 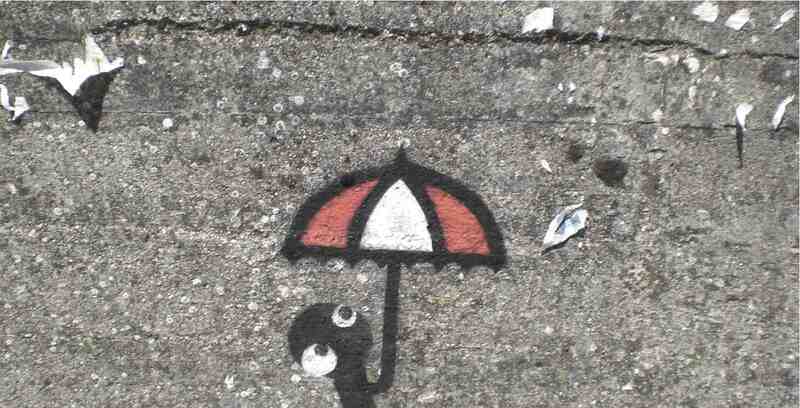 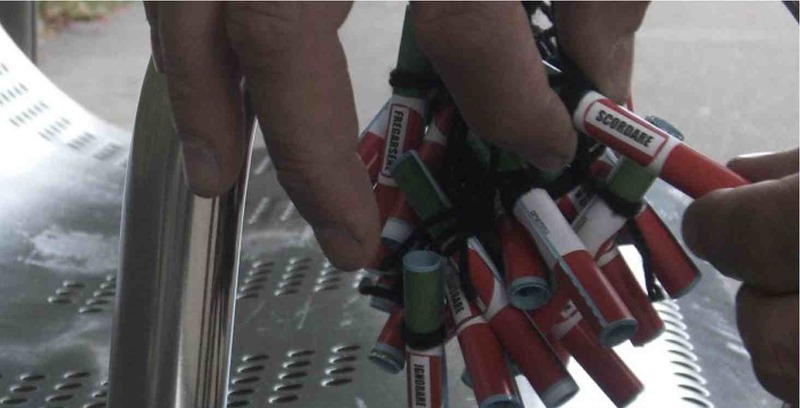 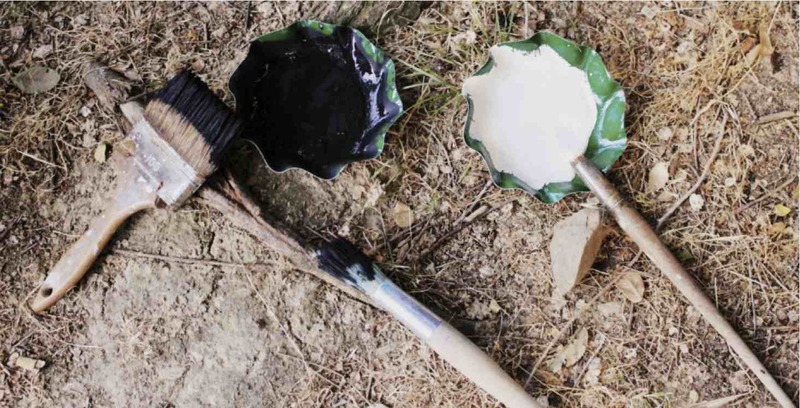 The project “A travel through painting and poetry” started in Turin, thanks to Bunker. 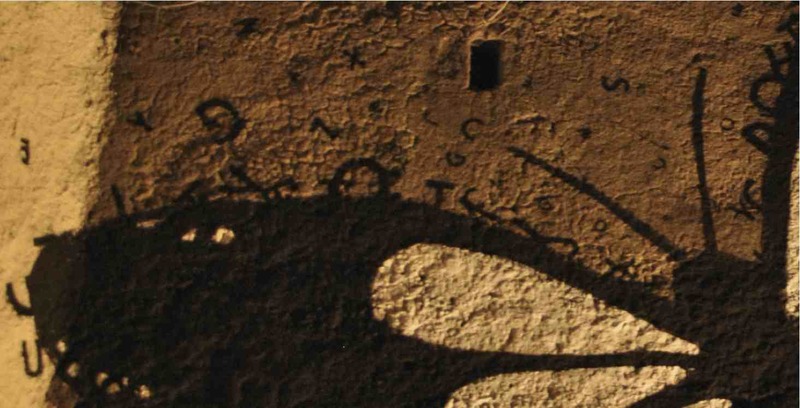 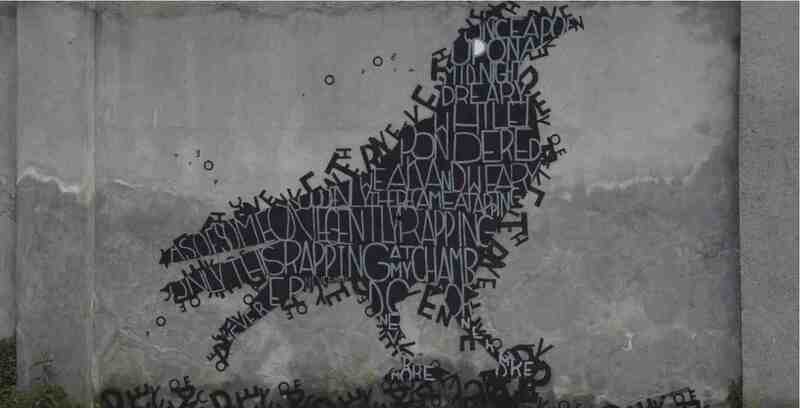 “The Raven” is one of the first calligram, black shaped with an handmade text, by Opiemme dedicated to E. A. Poe. 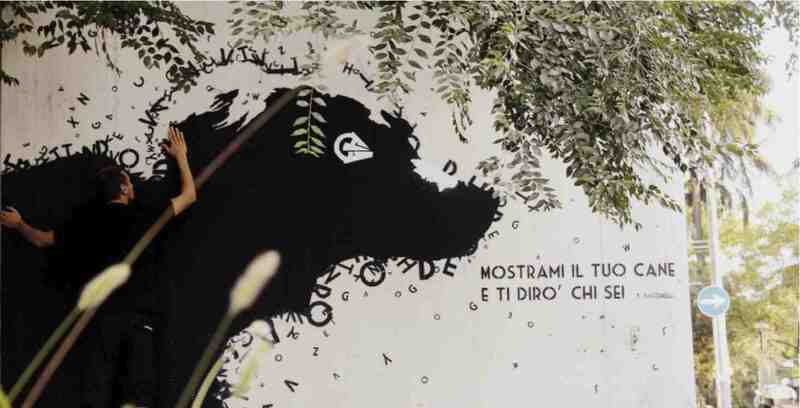 Once upon a time in the wonderful deep, hot South of Italy, for Talk Festival. 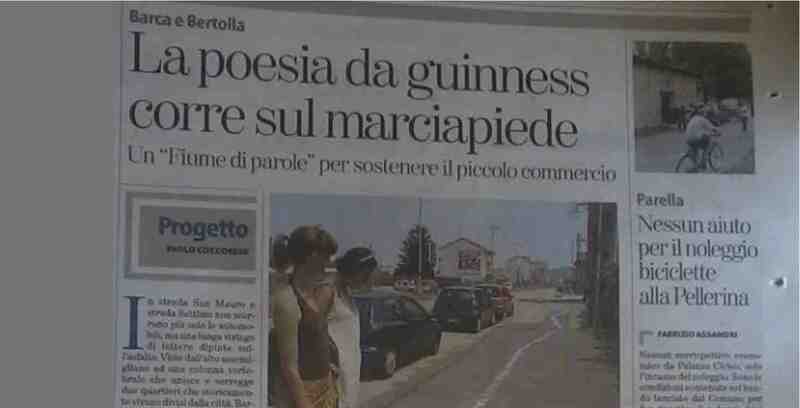 My experience started around 1998, writing poems. 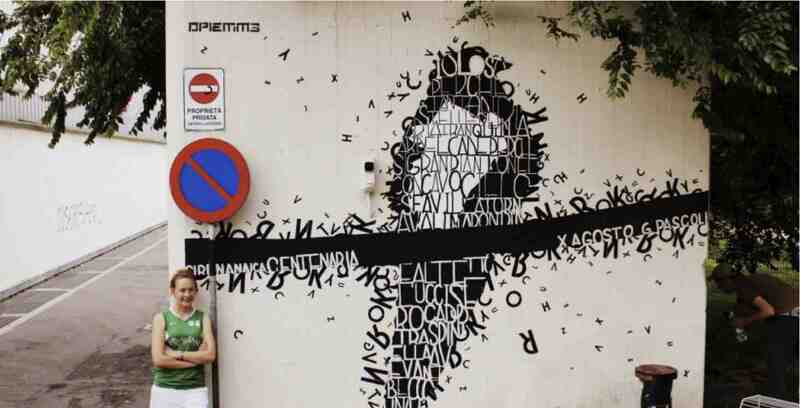 Suddenly I tried to mix words with visual arts. 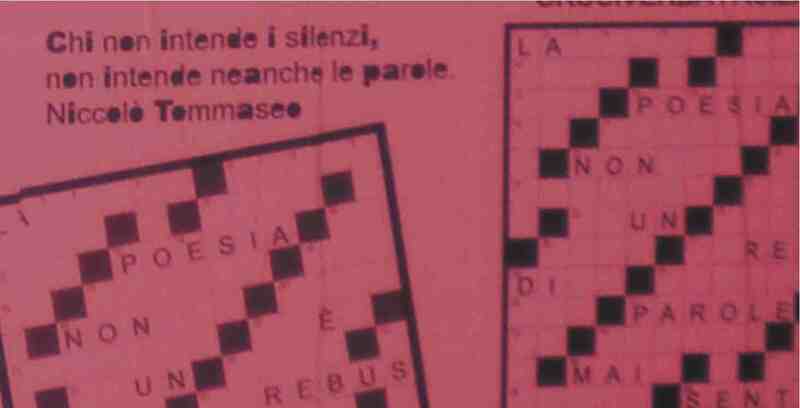 Renewing its comunicative forms was my first aim, even though I wasn’t aware of this at the time. 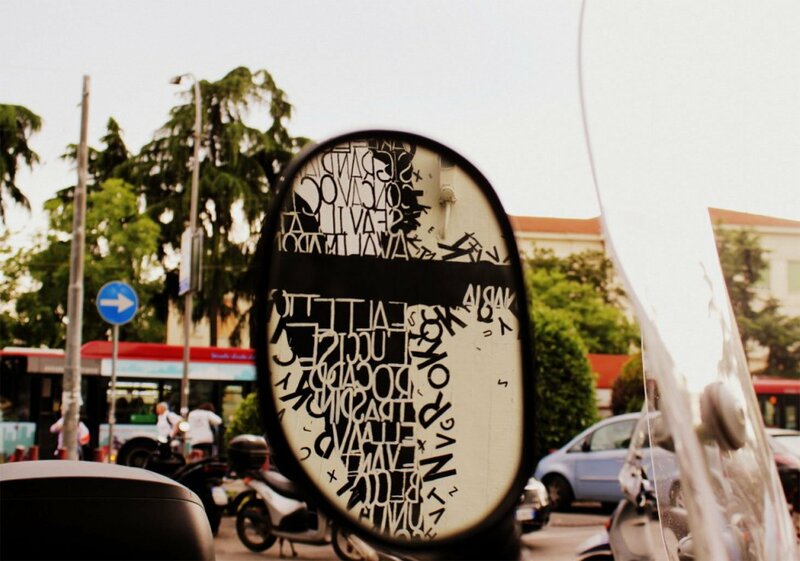 Basically I tried to bring poetry closer to people so that they could read it randomly while walking down the street, or discover a poem in a place where it wasn’t supposed to be. 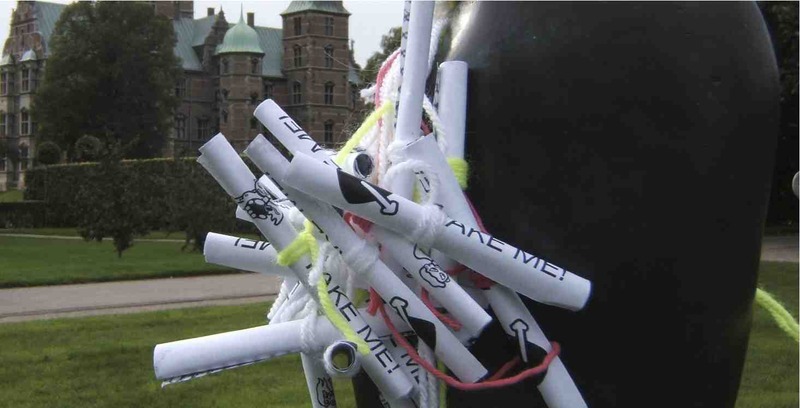 Sticker and poster art were two solutions I used until 2003 when I came up with a new idea: hanging little pieces of rolled-up paper, that people could take. 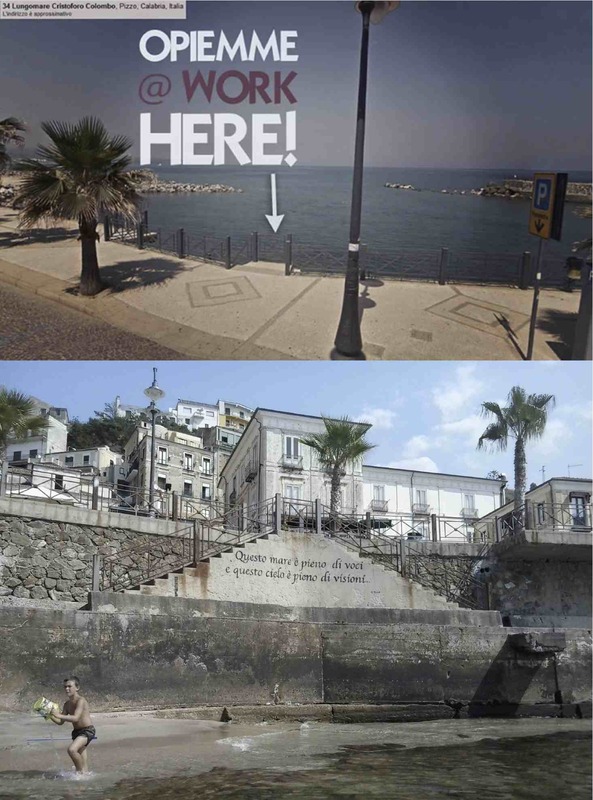 It works really well in grabbing people’s attention. 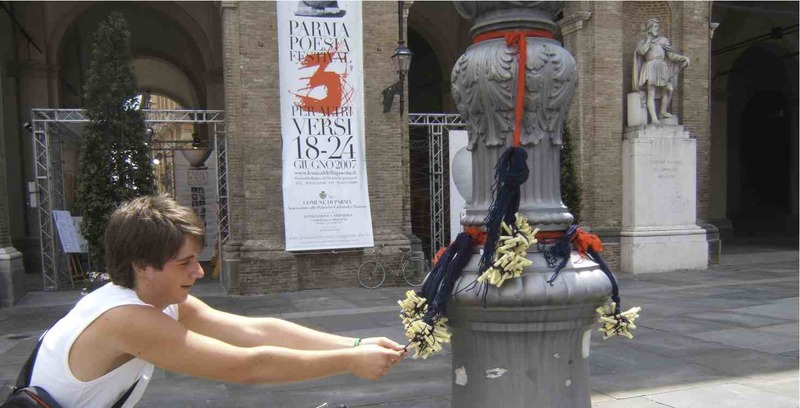 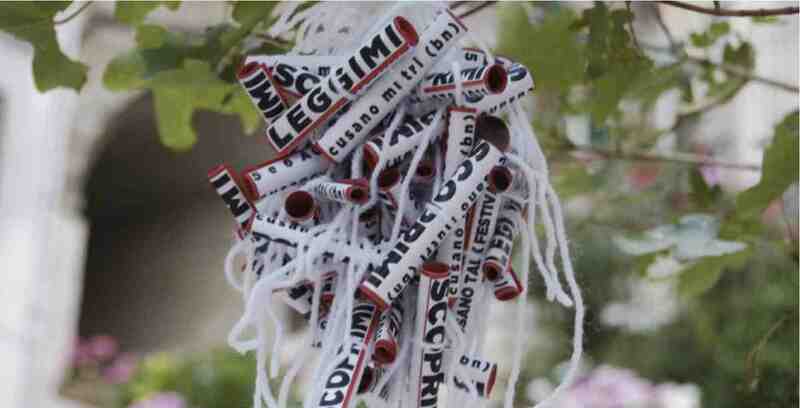 So much so, that I made 30000 Poetry Scrolls (Rotolini di poesia) for the White Night 2007 in Rome, and for many other festivals. 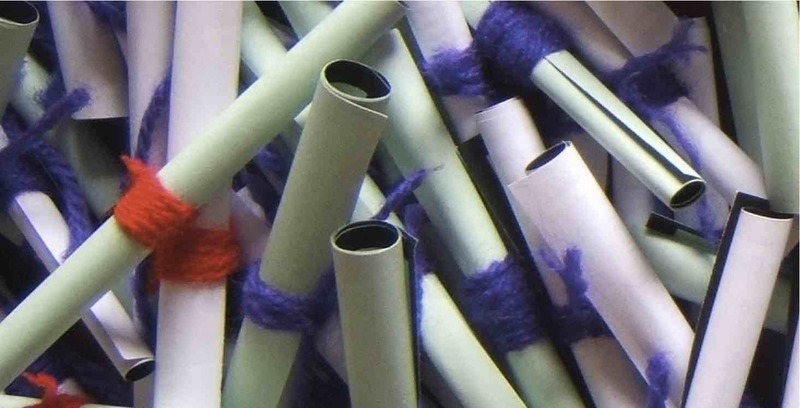 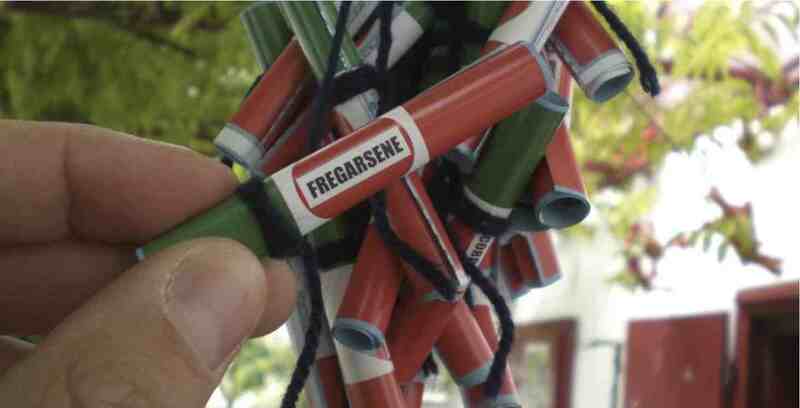 I think I have made more than 200.000 Poetry Scrolls in total, especially for festivals. 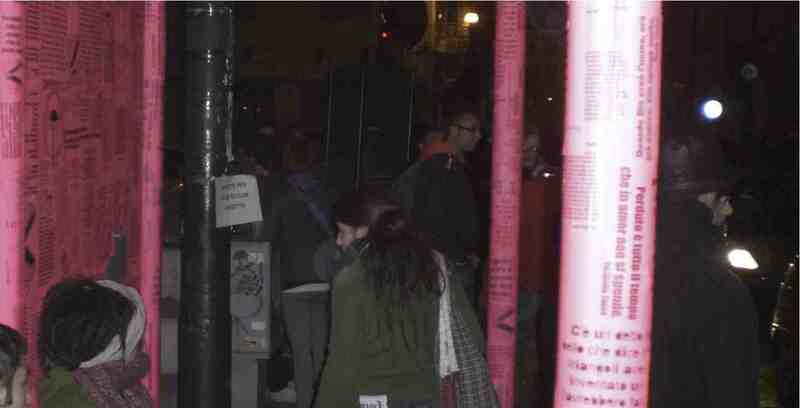 I have also done poetic installations and performances with other artists especially for Book and Literature Festivals. 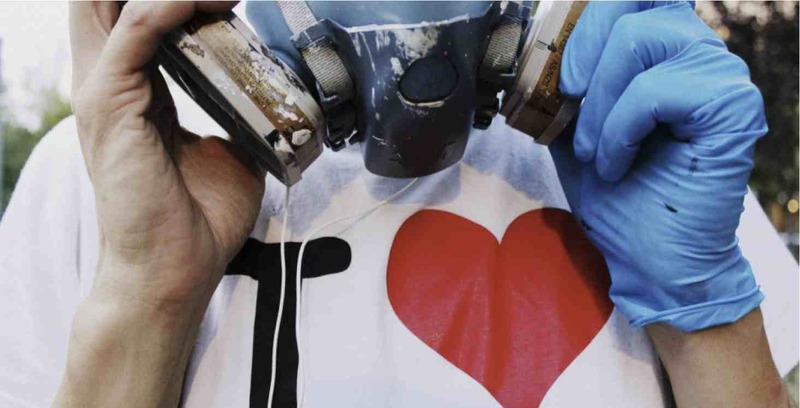 The streets were about to change the way I worked.